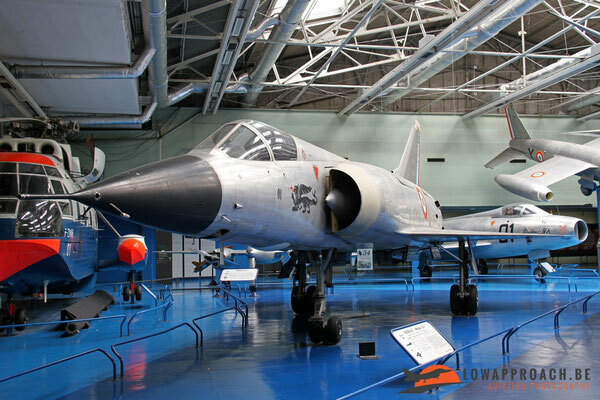 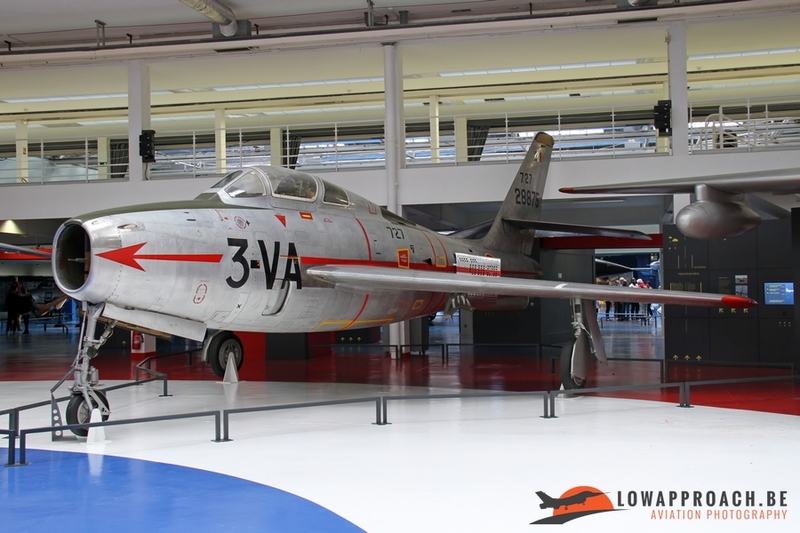 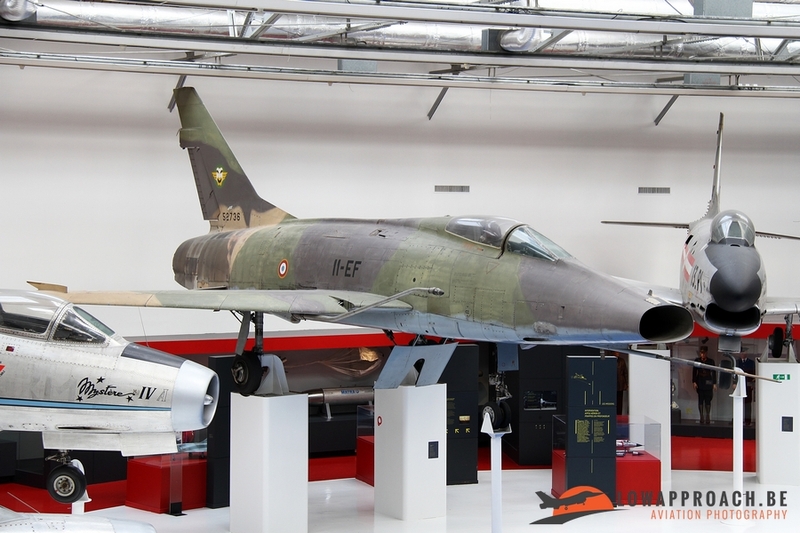 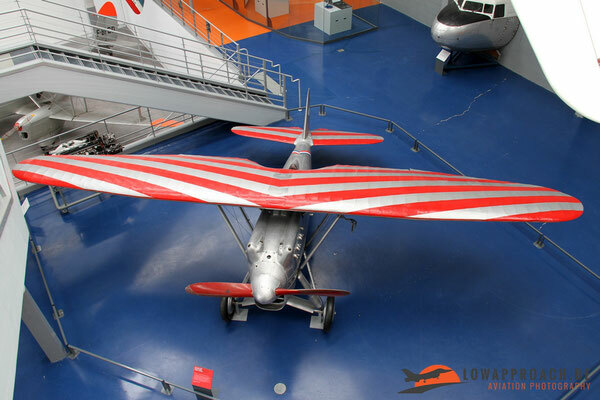 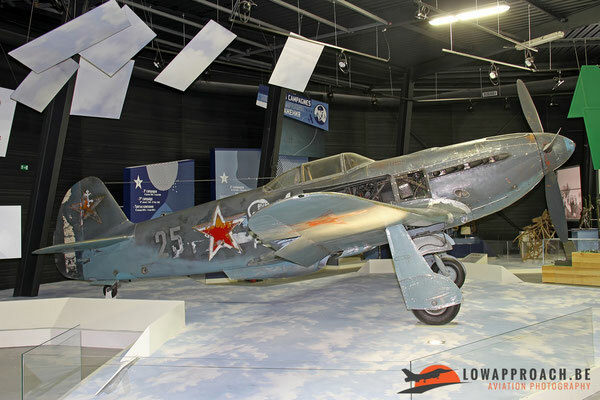 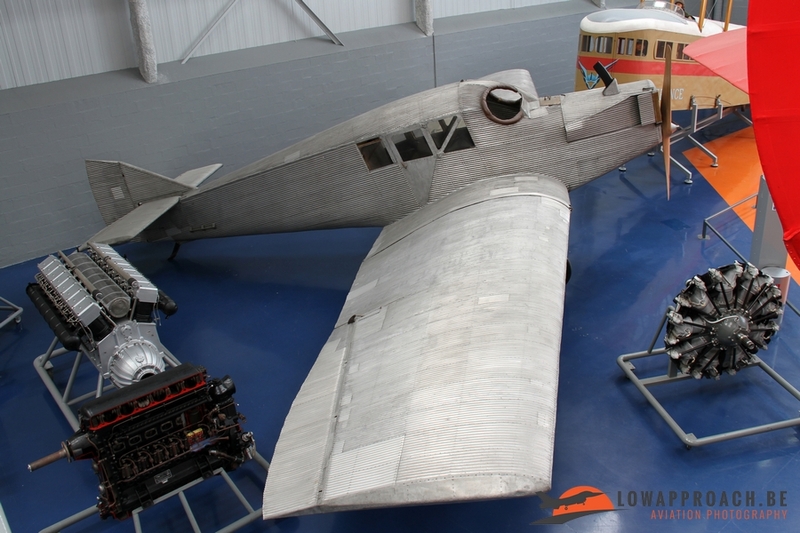 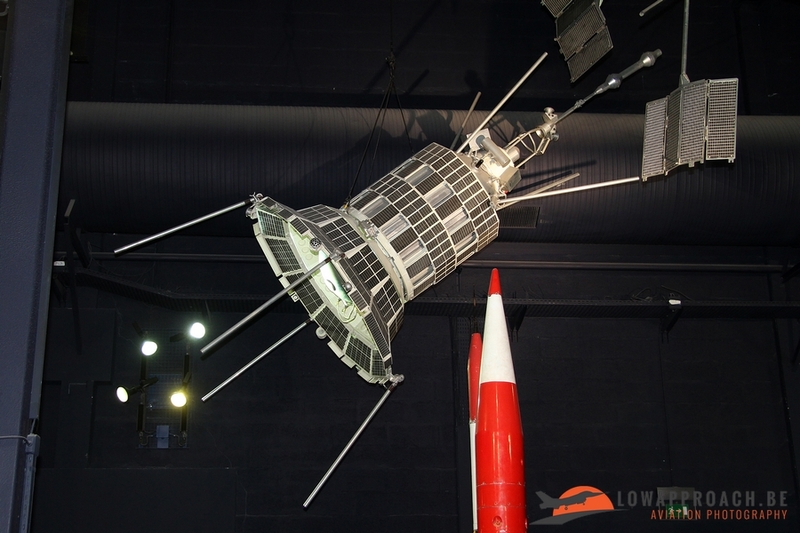 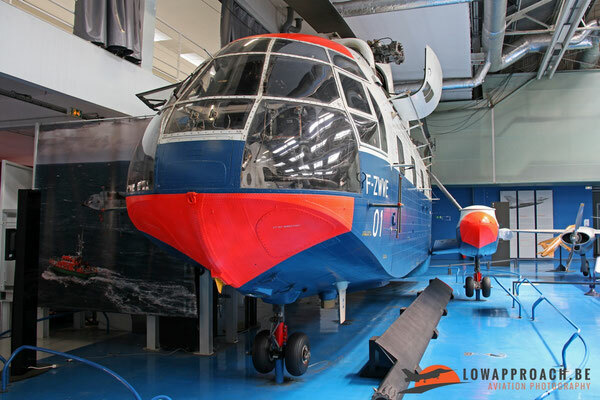 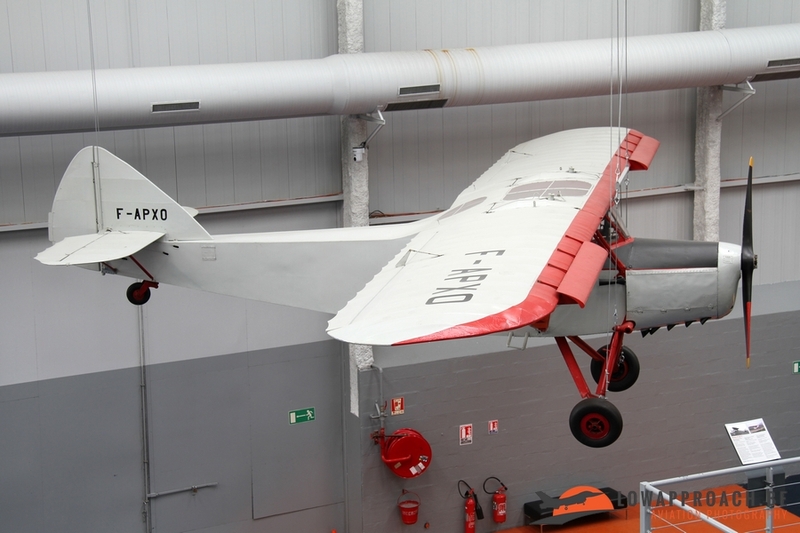 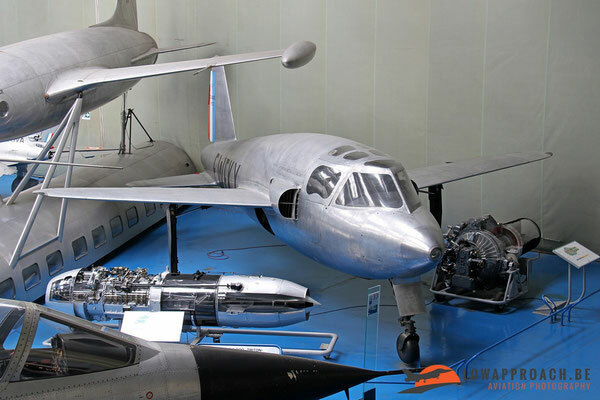 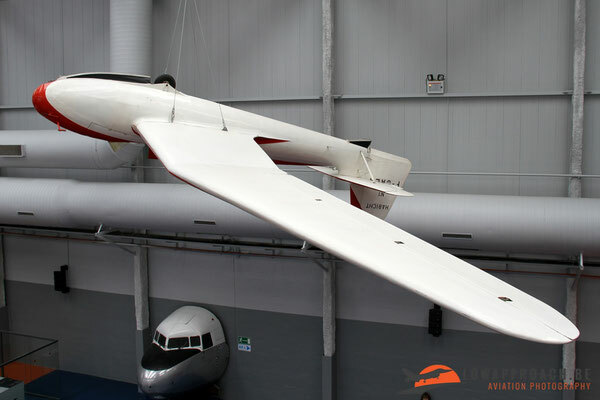 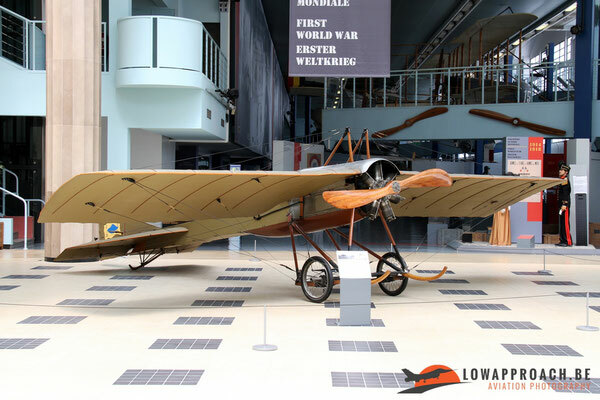 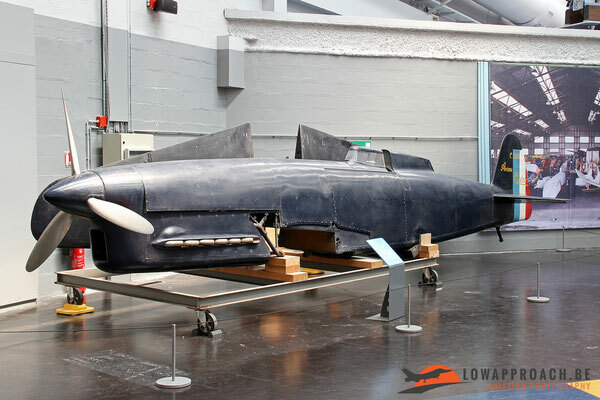 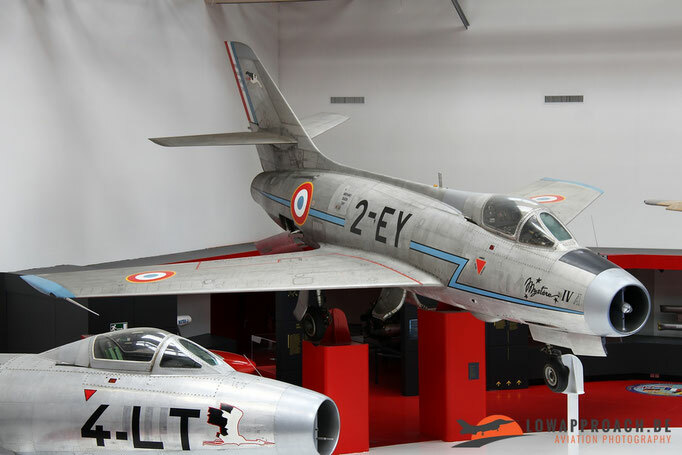 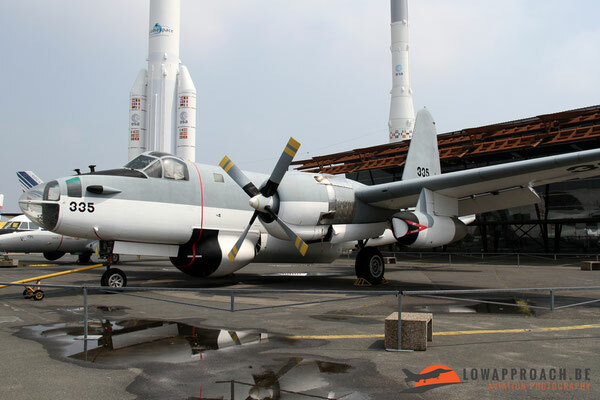 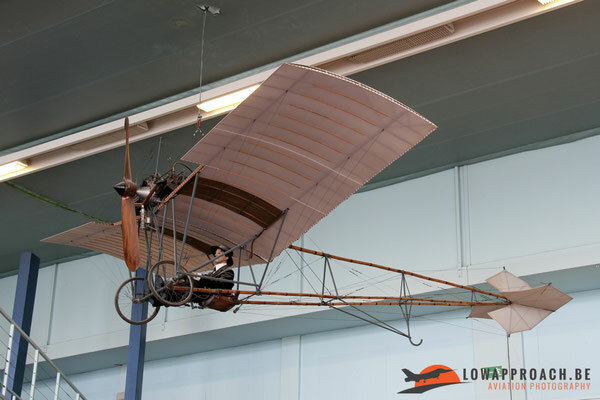 Over the last few months we have reviewed several private museums in France, so now it is time to give a detailed overview of what is on display in the largest aviation museum in France, the Musée de l’Air et de l’Espace at Paris-Le Bourget. One can easily say that this museum is one of the largest of its kind in Europe, with a very extensive collection of aircraft. 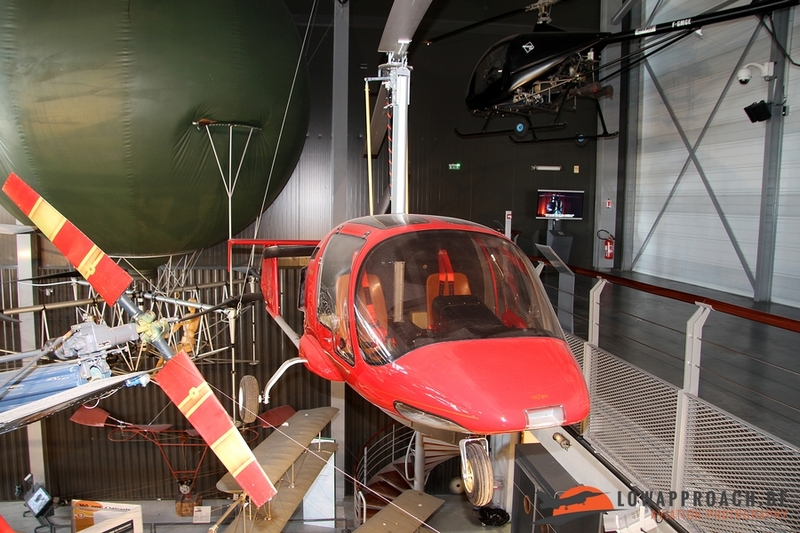 The last few years brought a lot of changes to the museum, a process that is still continuing until this day. 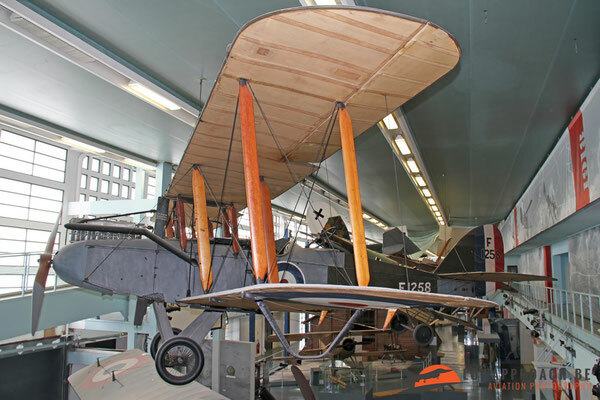 The display areas are gradually undergoing a complete refresh, so please be aware that if you visit the museum between now and 2019 it can happen that one or the other display area is closed for refurbishment. 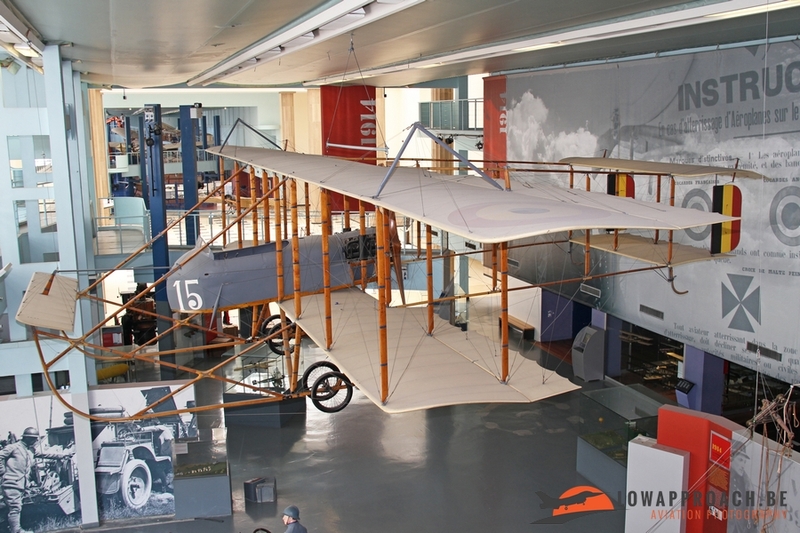 The early years of aviation are covered in the first display area in the museum. 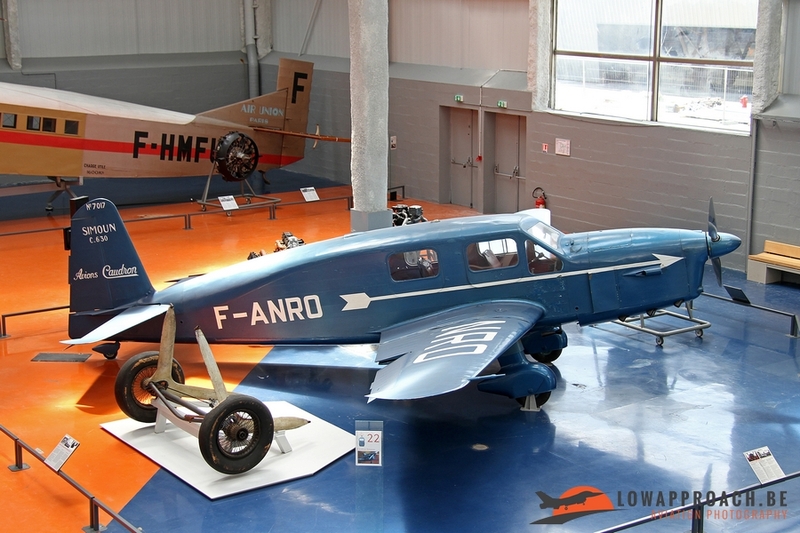 Most of the aircraft on display here originate from French designers. 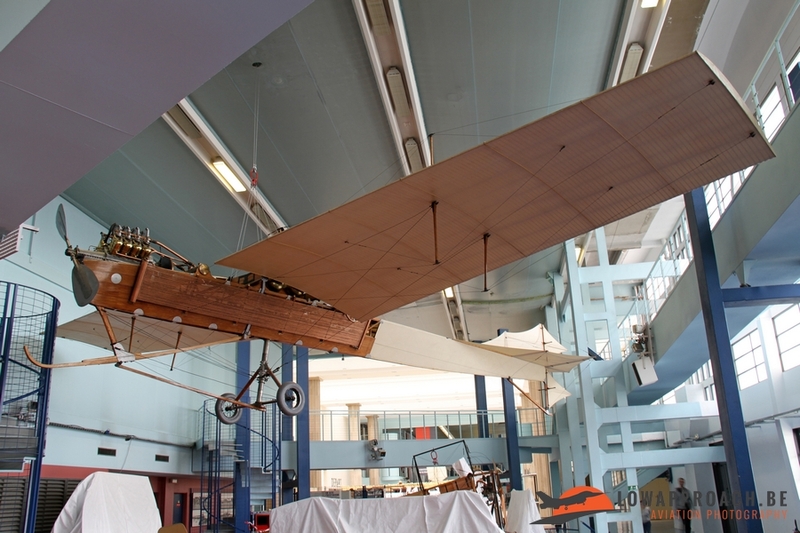 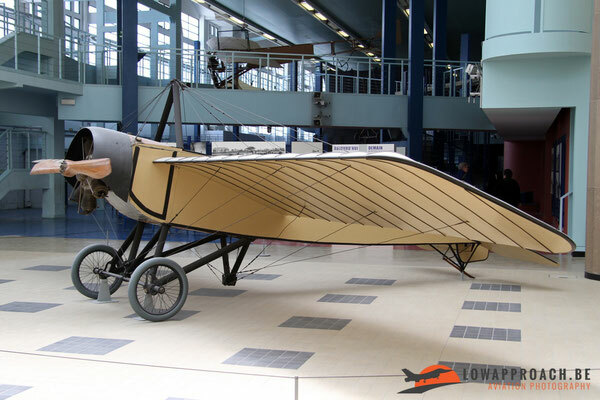 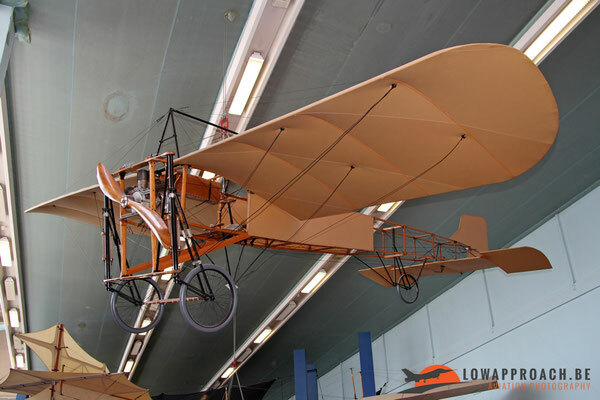 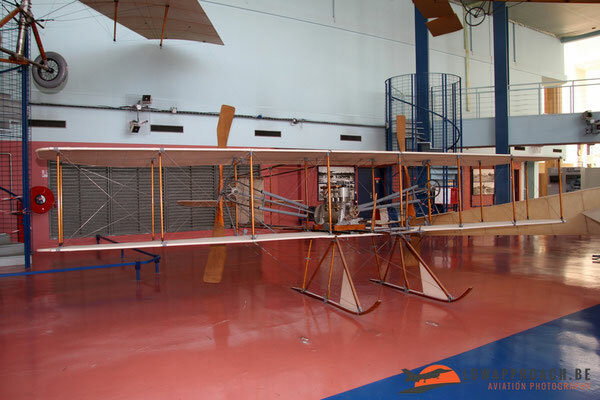 The Astra-Wright type BB was build in France and made its first flight in 1910, but was largely inspired by the Wright “Flyer” that first flew in 1903. 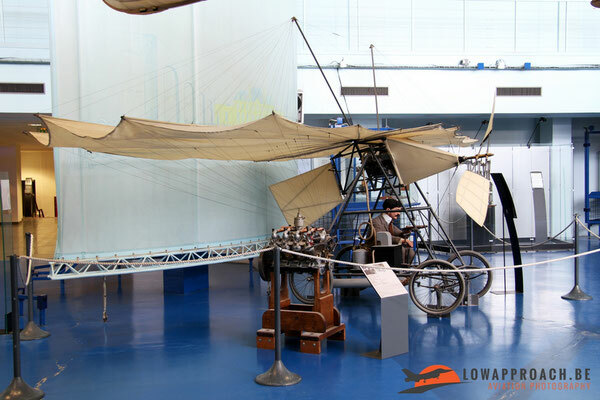 In this French row we also see a Deperdussin B, a Blériot XI (the same type of aircraft in which Louis Blériot made the first Channel crossing in 1906), a Henri-Farman MF7, a Lavavasseur Antoinette also from 1906 and a Morane-Saulnier Type H. The other two aircraft are a Santos-Dumont Type 20 Demoiselle, designed by the Brazilian Alberto Santos-Dumont, but who also worked in France. 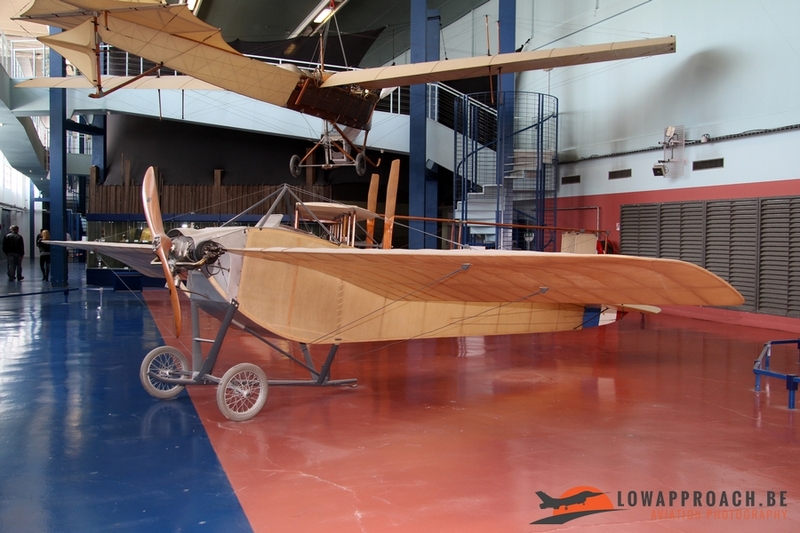 The final aircraft is a Traian Vuia 1 designed by the Romanian born inventor Traian Vuia, who also became a French citizen in 1918. 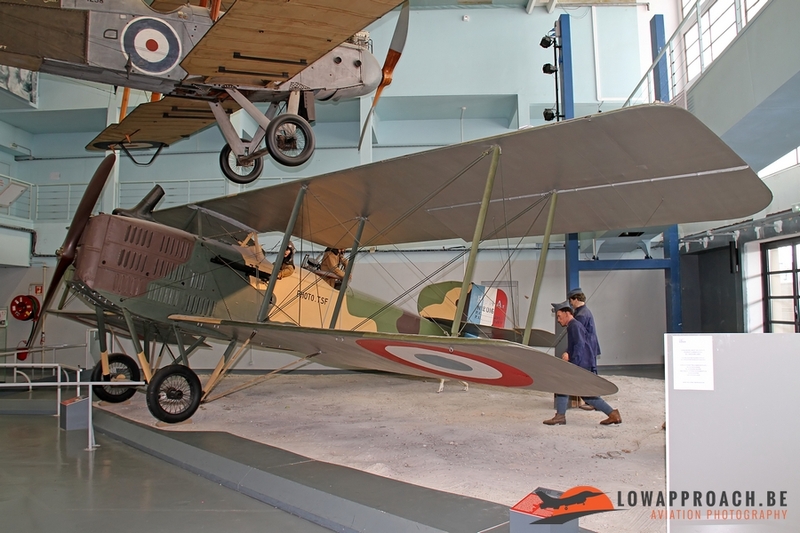 The second part of this area is filled completely with aircraft from the World War I era. 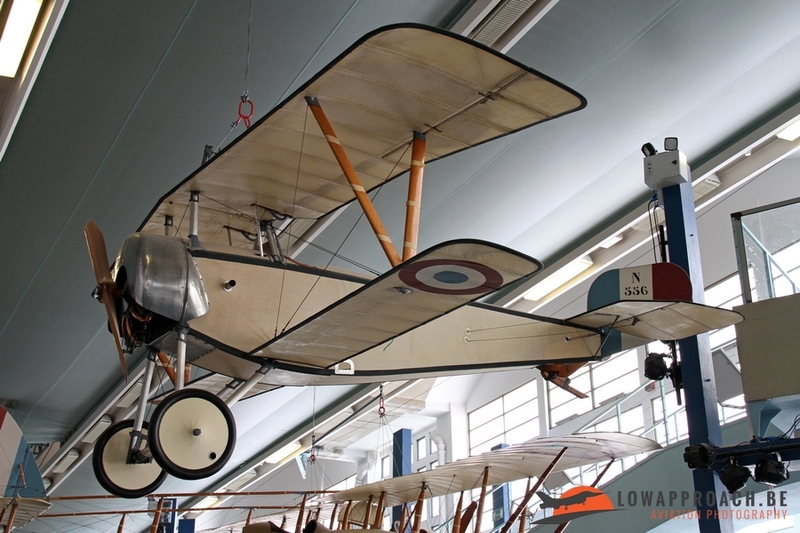 Again a fairly large part is dedicated to French aircraft. 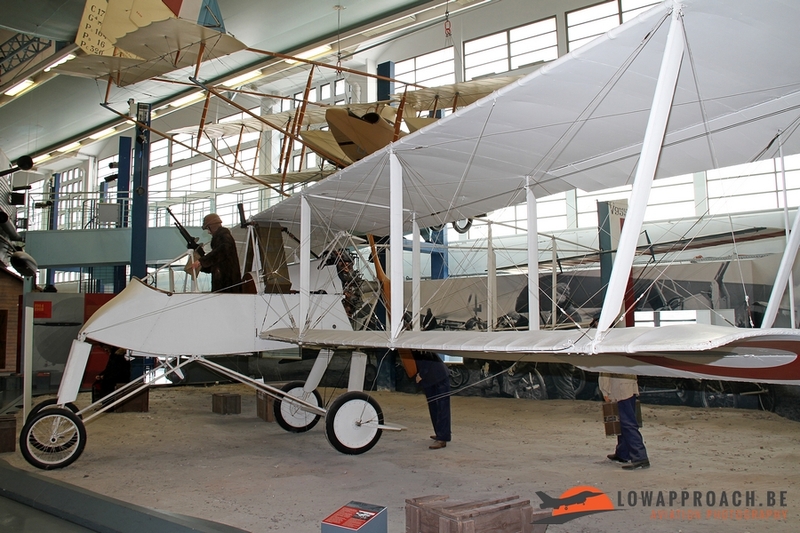 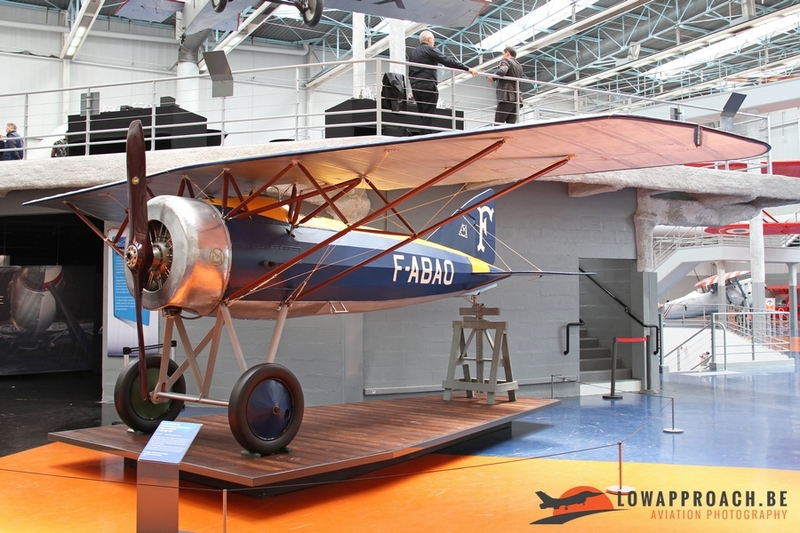 The first aircraft here is a Maurice-Farman MF7 that saw service in the Belgian ‘Compagnie des Aviateurs’, which we can consider as the founding fathers of the current Belgian Air Force. 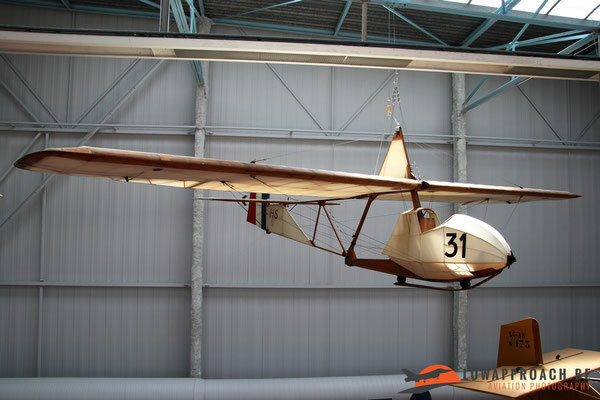 This aircraft saw service in the flying school at Etampes (near La Ferté-Alais) in France and Asch (now ‘As’) in Belgium. 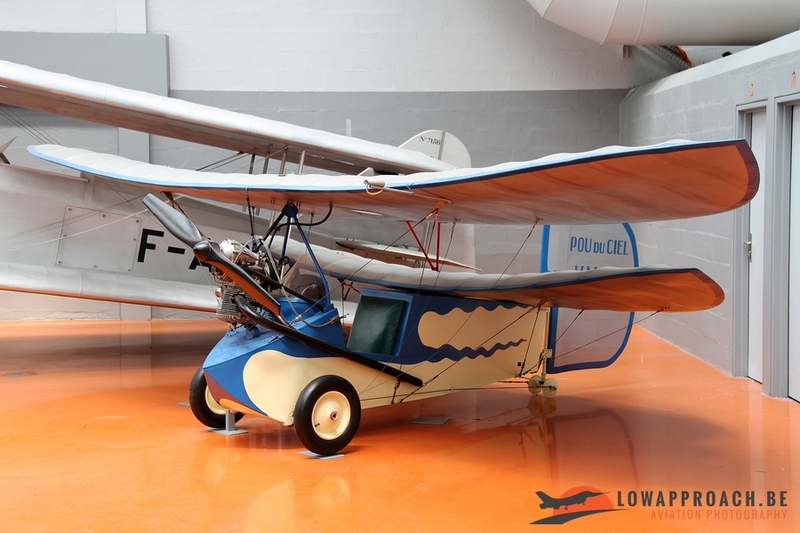 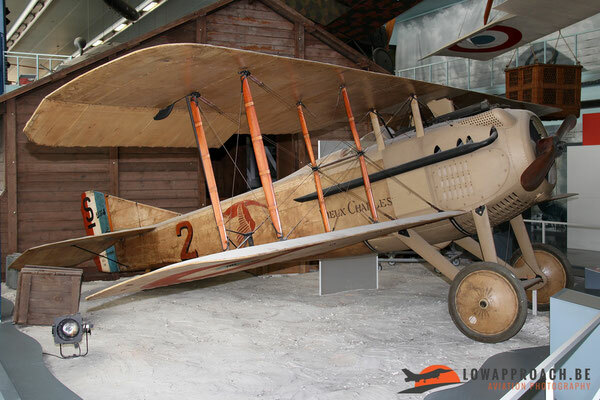 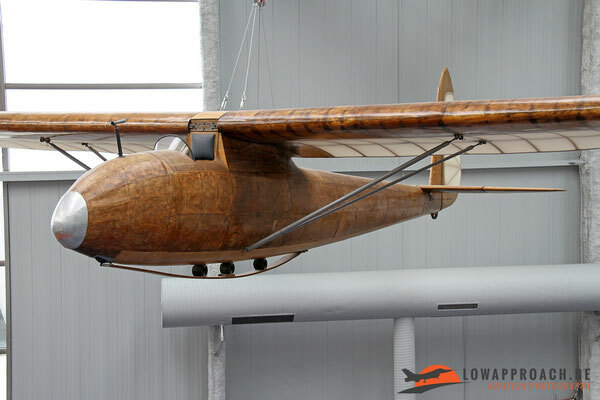 This original aircraft was donated by the Belgian government to the museum in 1919! 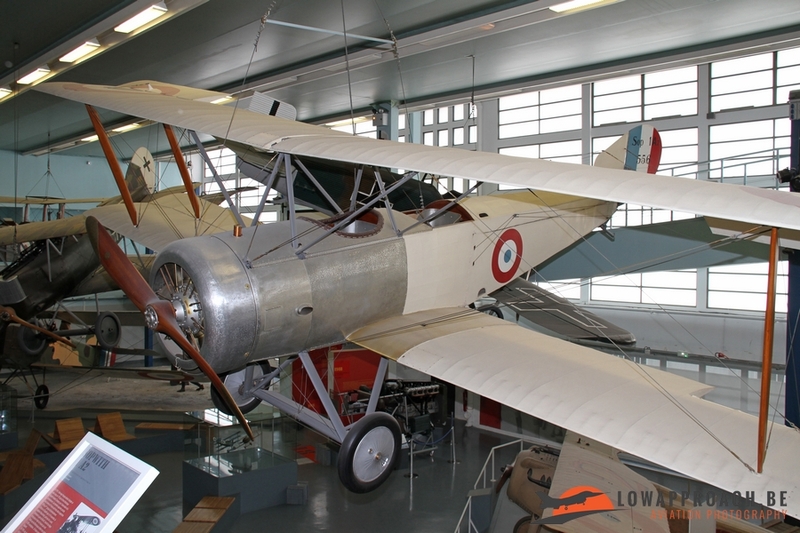 Other types we see here are a Morane-Saulnier A1, a Nieuport 2N, a Nieuport N11 ‘Bébé’ , a Voisin LA5b2, a Caudron G.IV two-engined bomber and finally a Breguet Br14A2 that was used in the reconnaissance role. Not only French aircraft are visible here, also examples of the British Sopwith 1 ½ Strutter and a De Havilland DH9 are present. 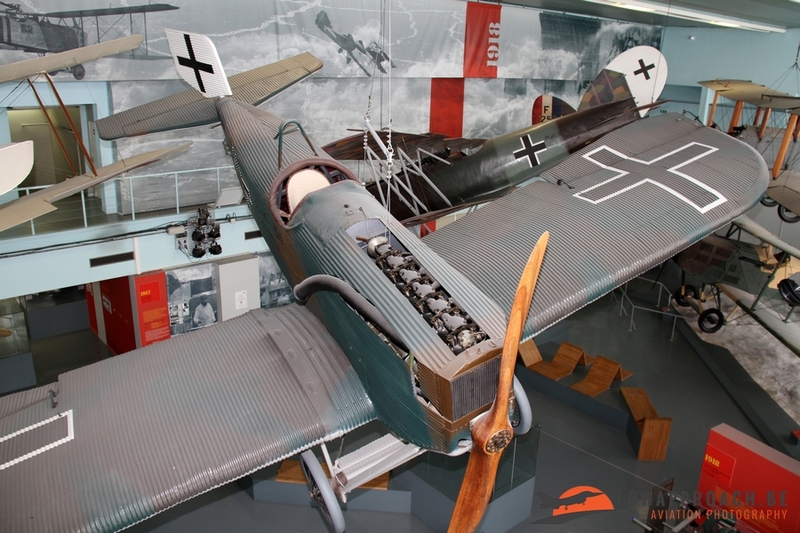 Also aircraft from the then enemy German forces are preserved at Le Bourget, starting with a Junkers D1(J9), a Pfalz D.XII and a Fokker D.VIIF. 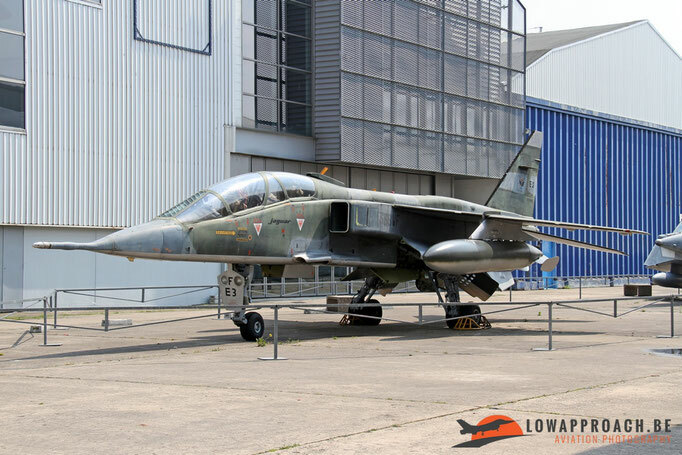 During my last visit to the museum this area was being emptied for refurbishment, so it will be a bit of a surprise which of these aircraft will return. 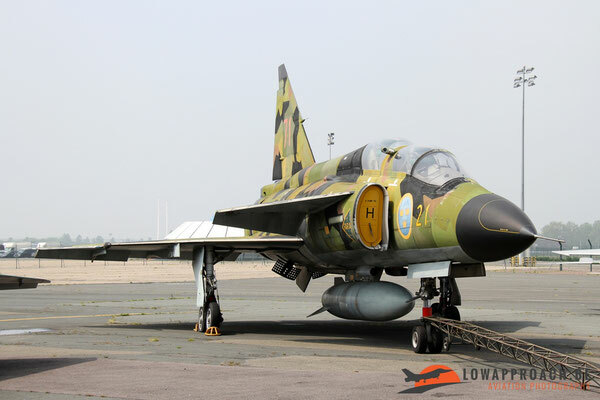 Hopefully they will use this opportunity to rotate some of these aircraft with other models from the same period which are currently in storage at the Dugny facility. 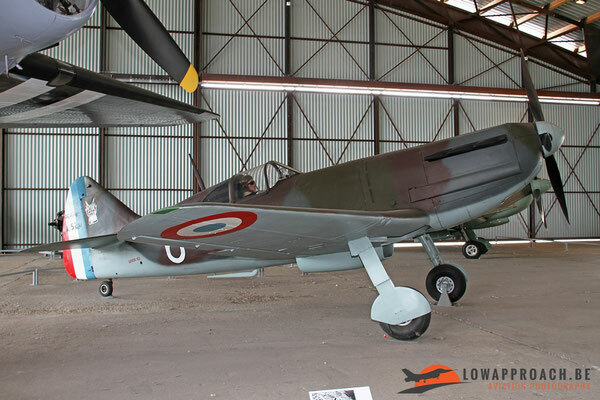 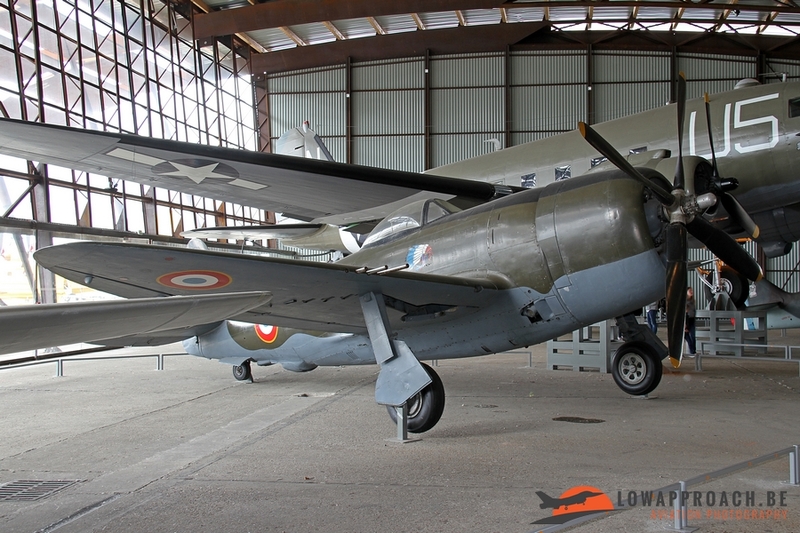 touring aircraft, mail transport and even saw some use in the French Armée de l’Air during World War II. We already saw a Farman in the World War I section, but during the inter-war years they also developed this Farman F.455 ‘Super Moustique’. The next aircraft is better known to the older ones amongst us, as it is not so long ago that I saw an airworthy Henri-Mignet HM14 Pou-du-Ciel at an old-timer fly-in. 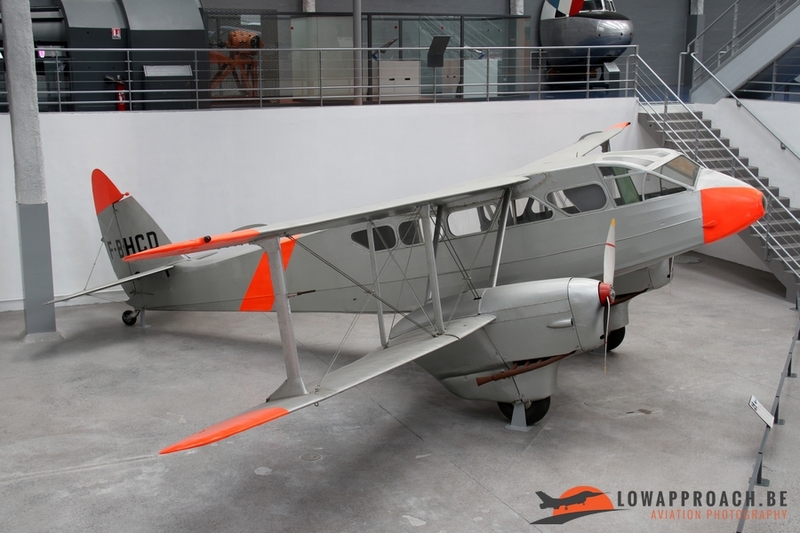 Finally we have a De Havilland DH89A Dominie from British origin. 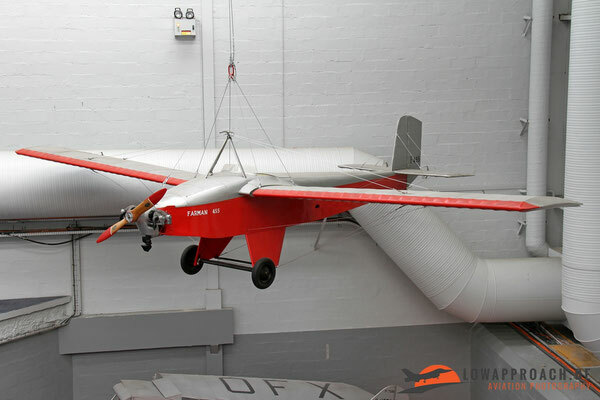 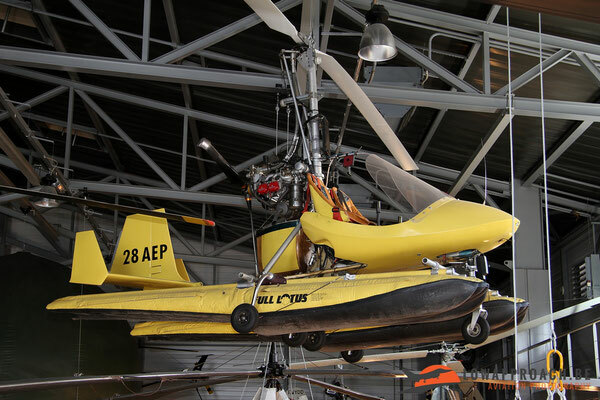 This section of the museum is also dedicated to the evolution of non-motorized aircraft, gliders. It clearly illustrates the evolution from a beam with a wing on it, to the modern gliders we know today. 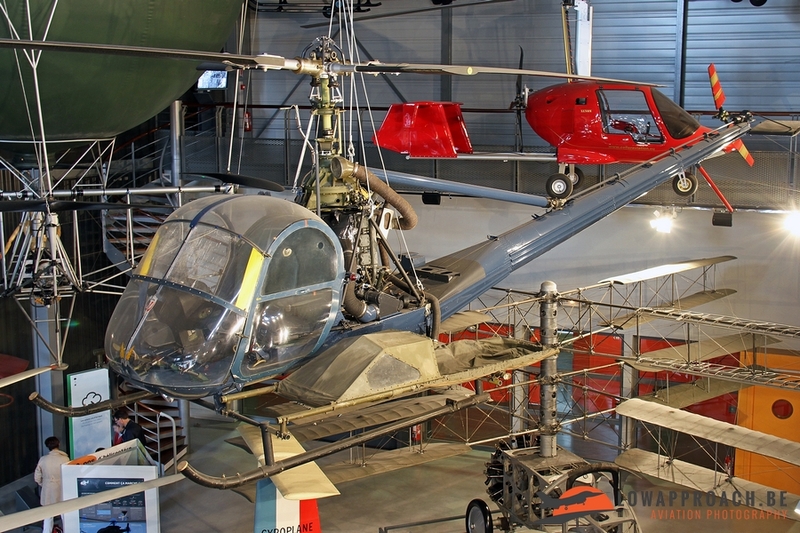 Respectively you see here a Schulgleiter SG38 Caréné, a Schneider-Hofmann-Rehberg DFS108-14, an Avia 40P and 41P and finally a Jacobs Habicht II. 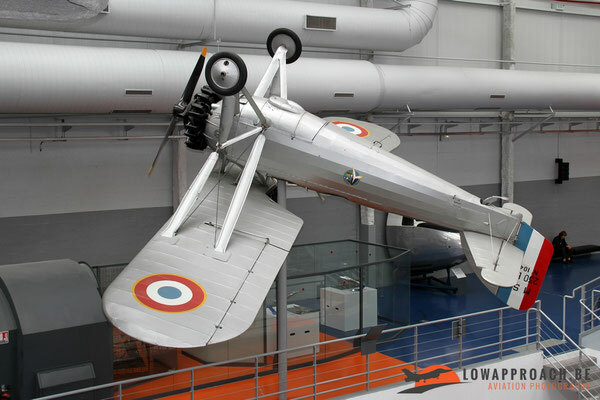 The newest building at Le Bourget houses the World War II collection. 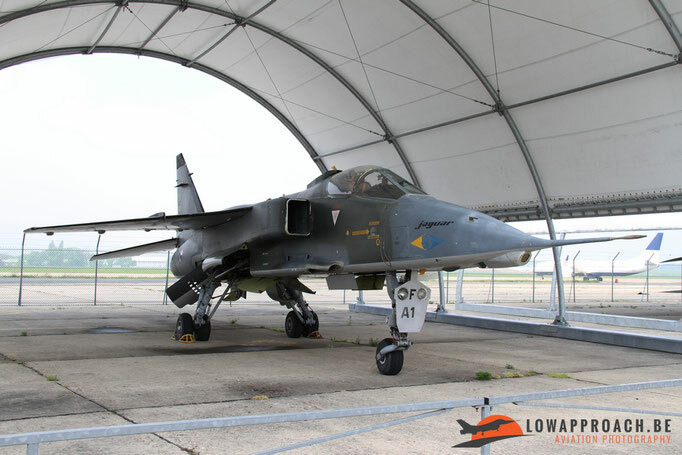 Until two years ago these aircraft were on display in a temporary tent on the platform, which was replaced by a more solid construction in 2015. 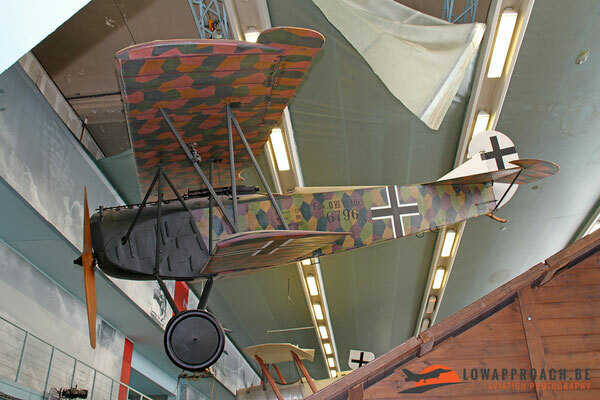 The collection covers aircraft from virtually all participants of the conflict in Europe. 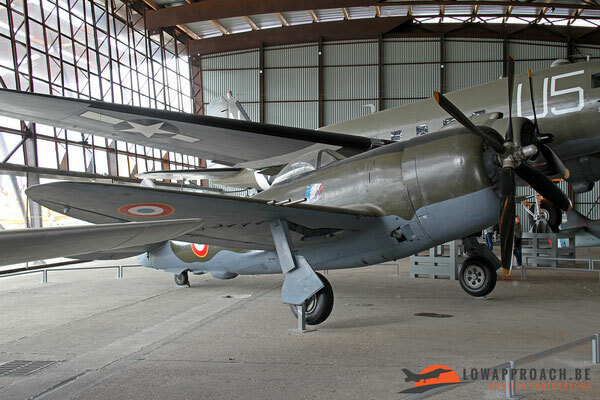 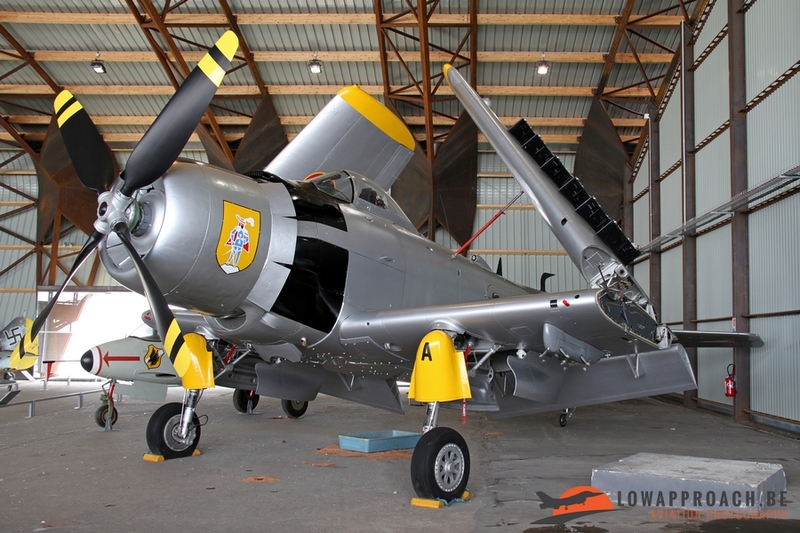 The majority are aircraft from US origin with a Republic P47D Thunderbolt, a North American P51D Mustang, both in post-war French colors. 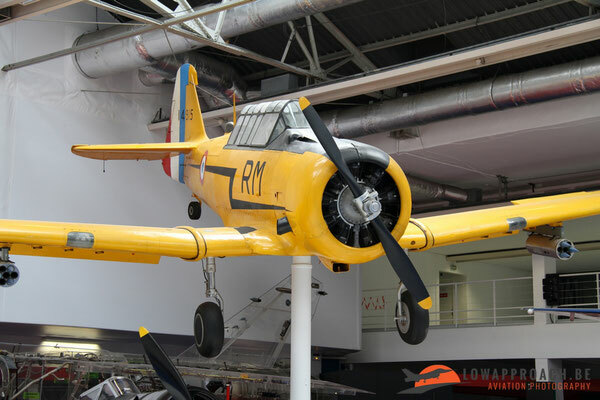 For completeness I also have added in a North American T6G Harvard, which can be found in the ‘fighter’ building, and also a Douglas AD4NA Skyraider, who missed World War II by only a few months. 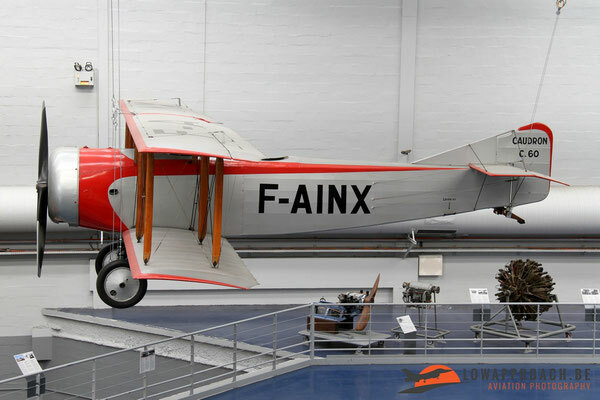 Unfortunately not many French aircraft from this period are preserved, which makes the Dewoitine D.520 quite a unique display item. 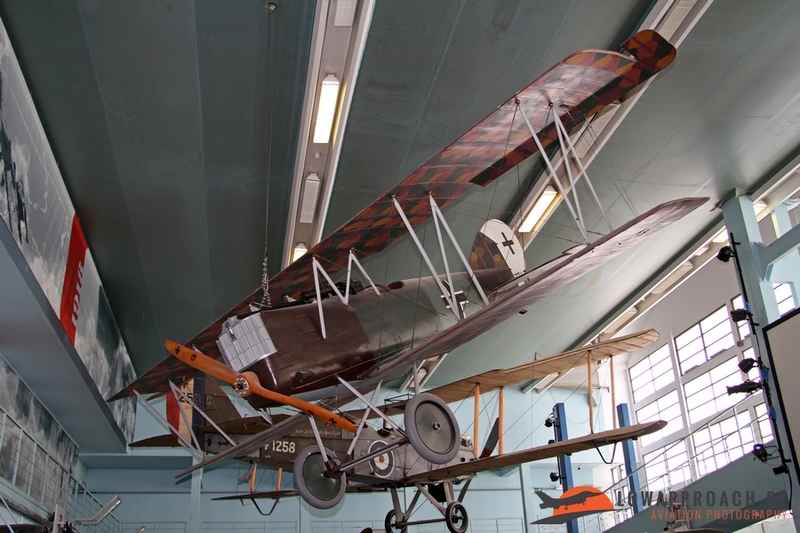 that didn’t make it until the end and is surrounded by panels explaining the history of the regiment. 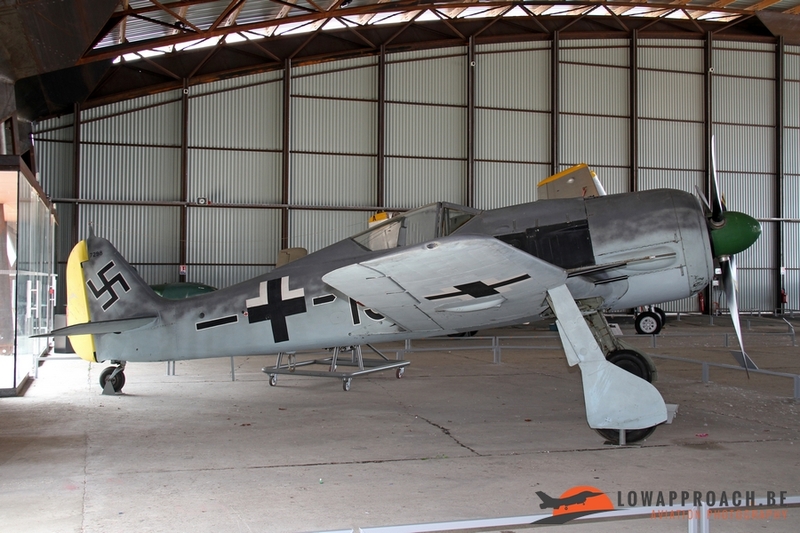 The adversary of those days, Germany, also takes its place in this part of the collection. First we have a Focke-Wulf Fw190A-8. 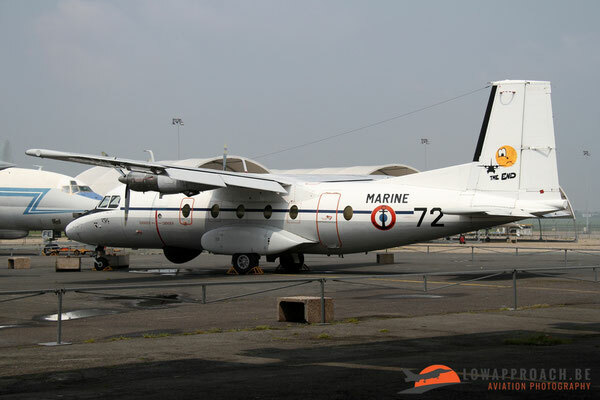 This aircraft is actually a SNCAC NC900, 70 of which were assembled in France using abandoned spare parts. Strangely enough the ‘Normandie-Niemen’ Regiment was one of the users of the NC900s after the war, as the maintenance of its own Yakovlevs was considered too complex, so they converted from the Russian aircraft to the aircraft of its former enemy! 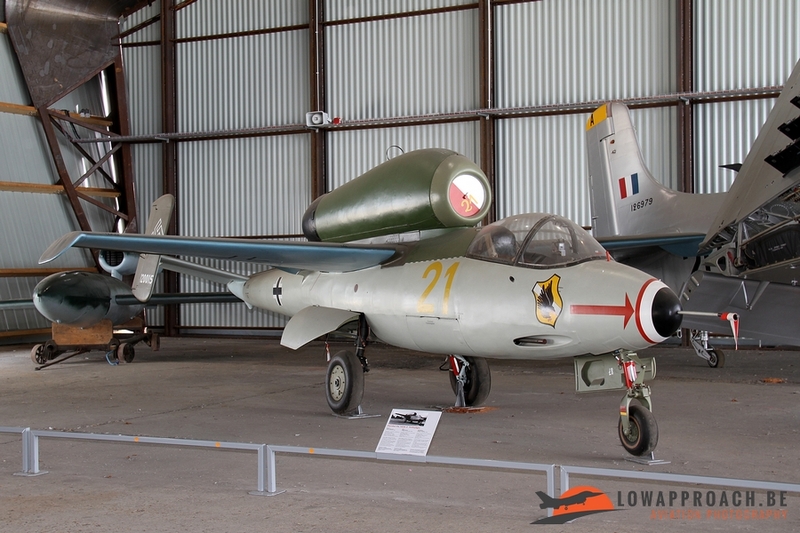 The next German display item is a Heinkel He162A-2 ‘Volksjäger’. 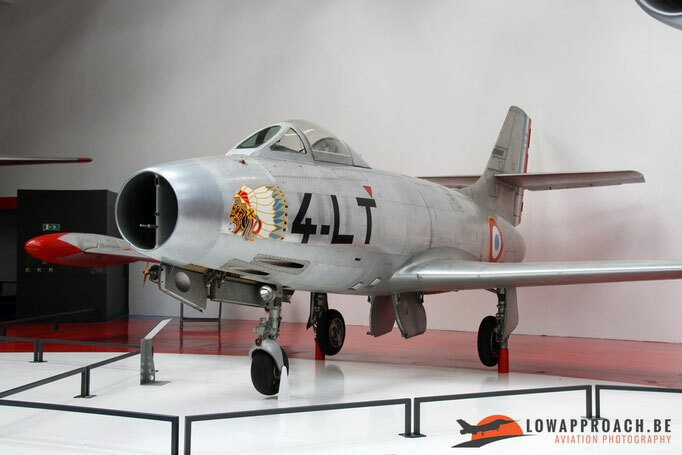 This is one of the first jet fighters, but it arrived too late in Luftwaffe service to play a considerable role. 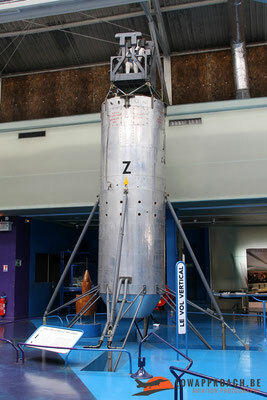 The example at Le Bourget was captured and used for testing by the Allies. Finally in the helicopter building you can find another German World War II era aircraft. 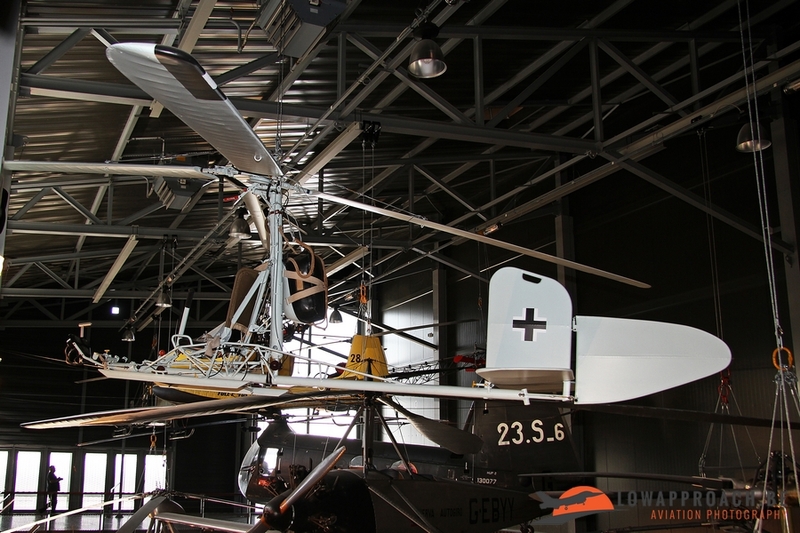 The Focke-Achgelis Fa330A-1 Bachstelze is a sort of helicopter that can be towed. The testing of these first German jets meant the starting point for many countries in the exploration of reaching speeds higher than the speed of sound. 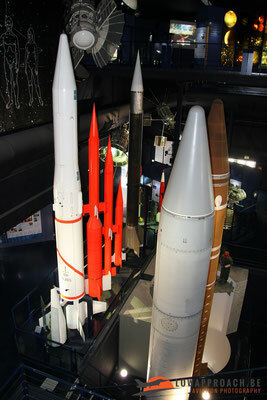 France was no exception and Le Bourget has dedicated a complete section to this period. The ‘Hall des Prototypes’ is one of my favorite spots in this museum as what is on display is really amazing. 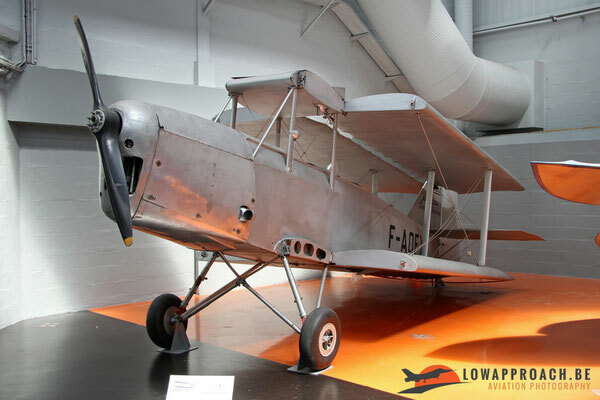 I’m going to spare you all the details on the when or how these aircraft took the air, but this is what is on display: Leduc O.16 (developed from the O.10, which markings it still wears), Leduc O.22, SNCASO (Société Nationale des Constructions Aéronautiques du Sud-Ouest) SO.9000 Trident, Nord Aviation N.1500 Griffon II, Payen Pa49b ‘Katy’, Hirsch H.100, Sud Aviation SA.610A Ludion and finally the SNECMA C.400 P2 Atar Volant. 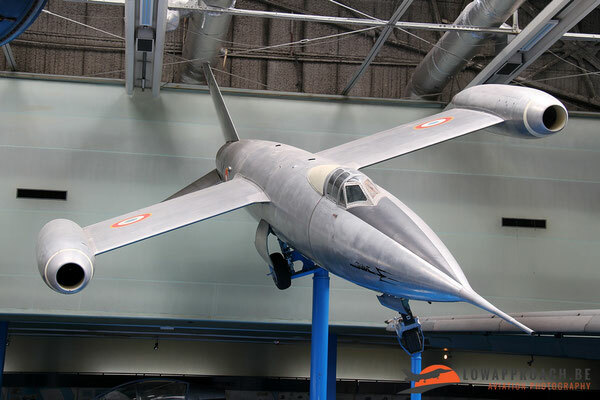 The last two ‘aircraft’ were developed to explore vertical take-off and landing while using jet engines, and I must admit, the test pilots who flew these devices must have been extremely courageous! One aircraft that outlived all the above mentioned companies is Dassault. 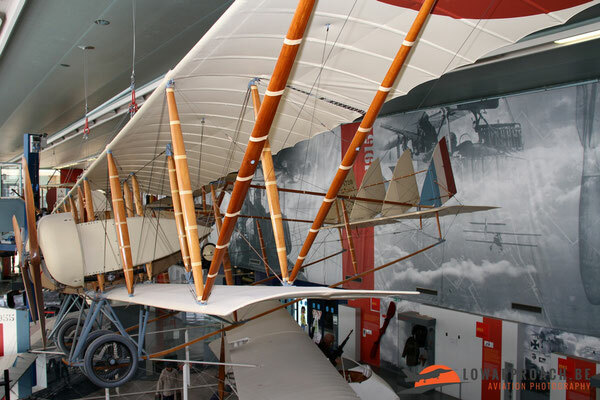 Dassault celebrated its 100th Anniversary in 2016 and is still one of the leading companies in the French and European aviation industry. 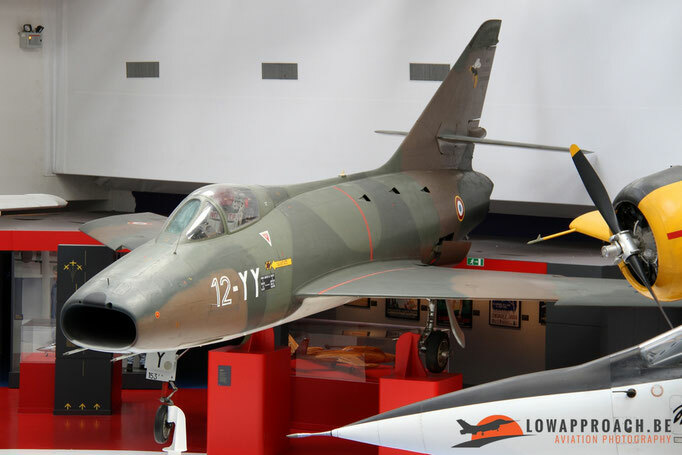 Uniquely all the aircraft on display in the ‘Hall des Prototypes’ wear the serial number ‘01’ indicating that it’s the first prototype! First ‘01’ is the Mystère IVA, followed by the Mirage IIIA, both of which went into series production after testing. 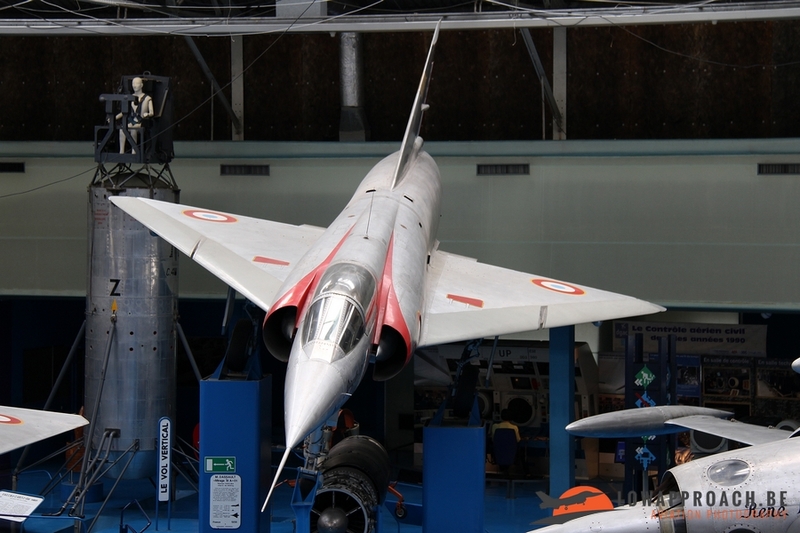 Next in line is the Mirage IIIV, a prototype used in the exploration of vertical take-off and landing. 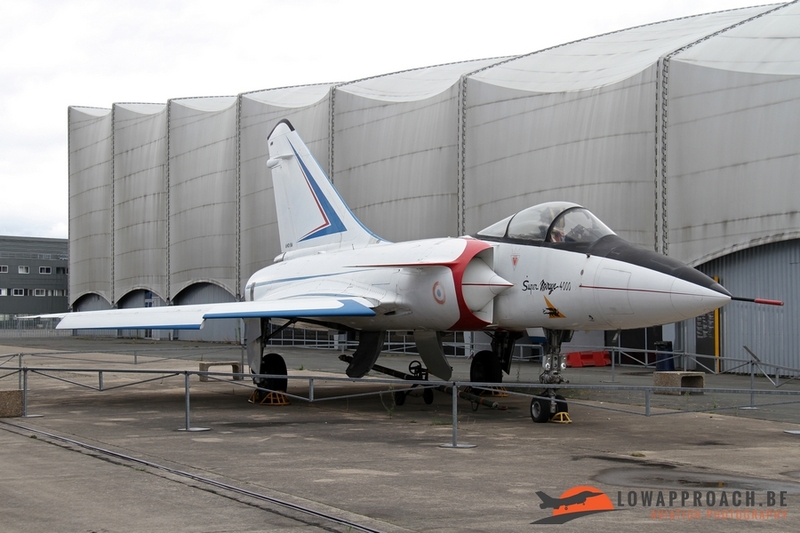 The Mirage G8 was a ‘swing-wing’ test aircraft, which first flew in 1972. 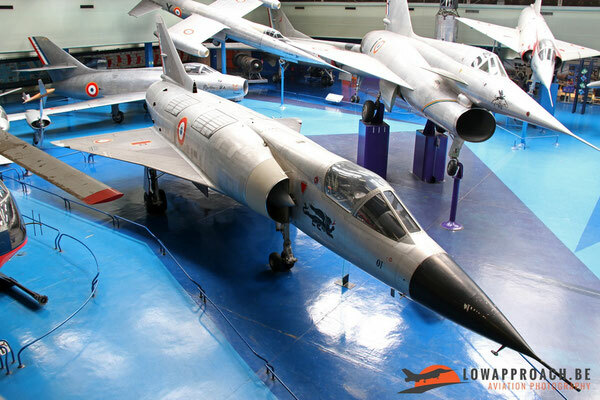 The Mirage 2000 was the successor of the Mirage F1 and was used by the French Air Force and exported to several air forces around the world. 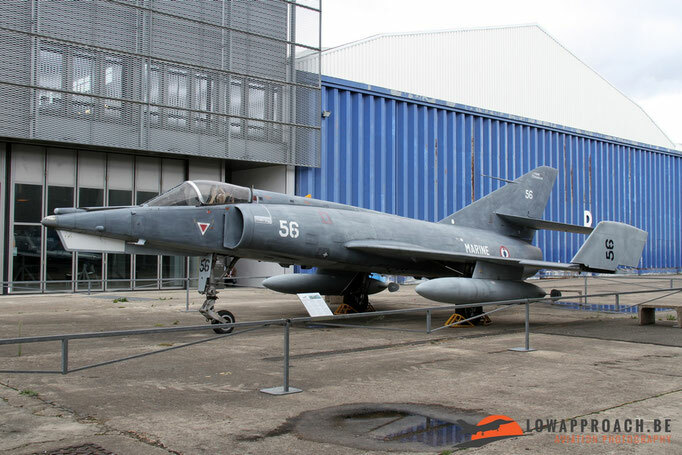 A private development funded by Dassault of the Mirage 2000 is the Mirage 4000 (sometimes called ‘Super Mirage 4000’). This aircraft was a lot heavier and larger than a Mirage 2000, it was roughly the same size of the F15 Eagle. 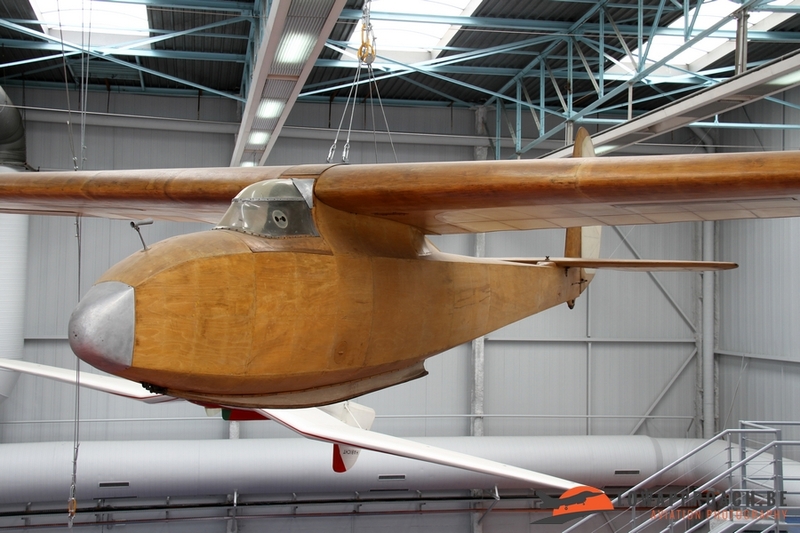 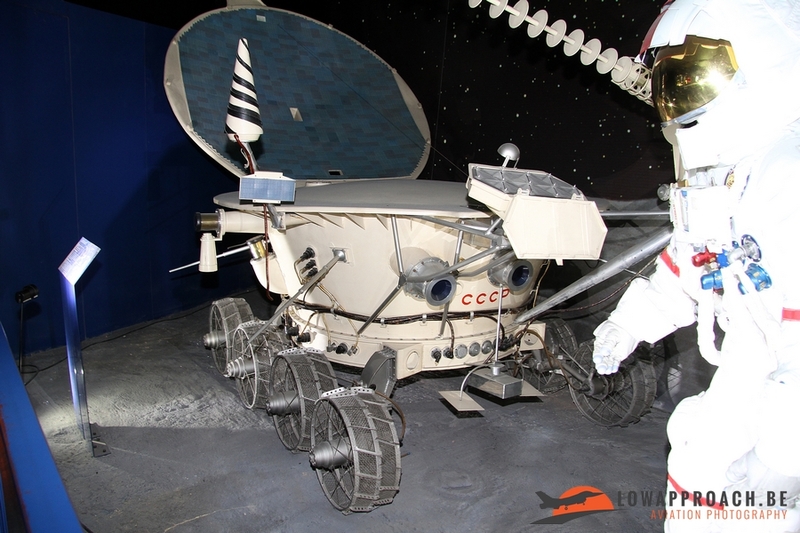 Unfortunately only one prototype was build, which is currently preserved outside. Final aircraft in this category is the Rafale A, the development aircraft which resulted in the Rafale B, C and M production variants. Also this aircraft is on outside display at this moment, but hopefully soon it will move indoors to protect it from the elements. 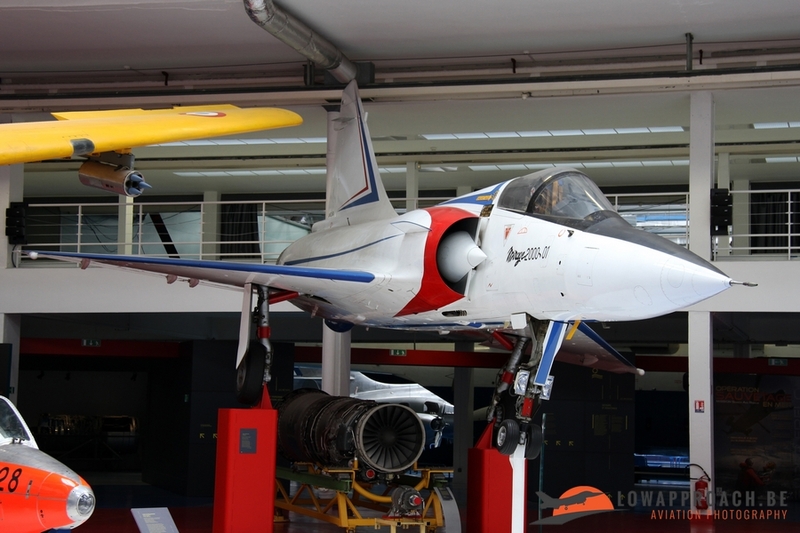 Of course not only jet prototypes are on display at Le Bourget museum, also planes that became operational are exhibited. 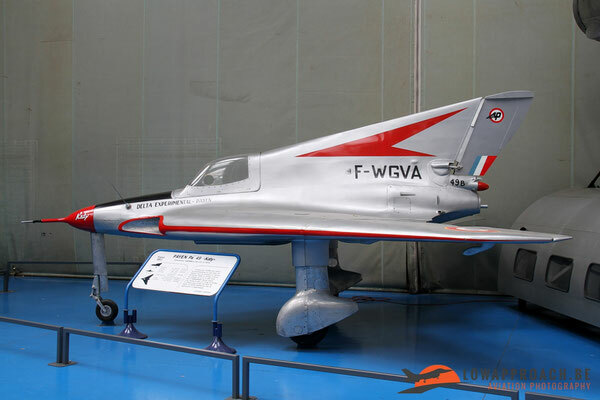 The first aircraft is a SNCASE SE535 Mistral, this aircraft is actually a local version of the British De Havilland Vampire and a total of 250 examples were constructed by the Société Nationale des Constructions Aéronautiques du Sud-Est. 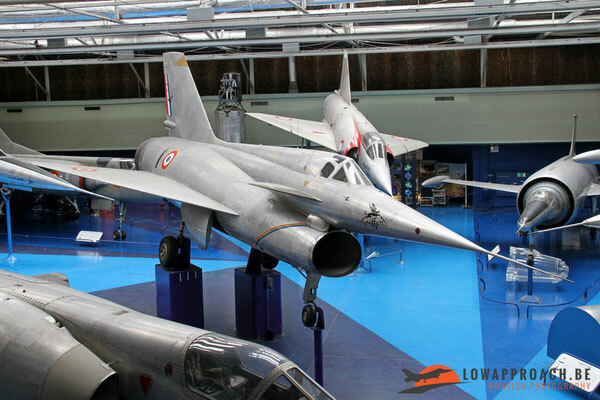 Then we see the almost traditional Dassault line-up, starting with the MD450 Ouragan, Mystère IVA and Super Mystère B2. Also an example of the Dassault Mirage IVA strategic bomber is on display, although due its size it in an outside tent. Further we see two examples of the Sepecat Jaguar, a single-seater and a double-seater. 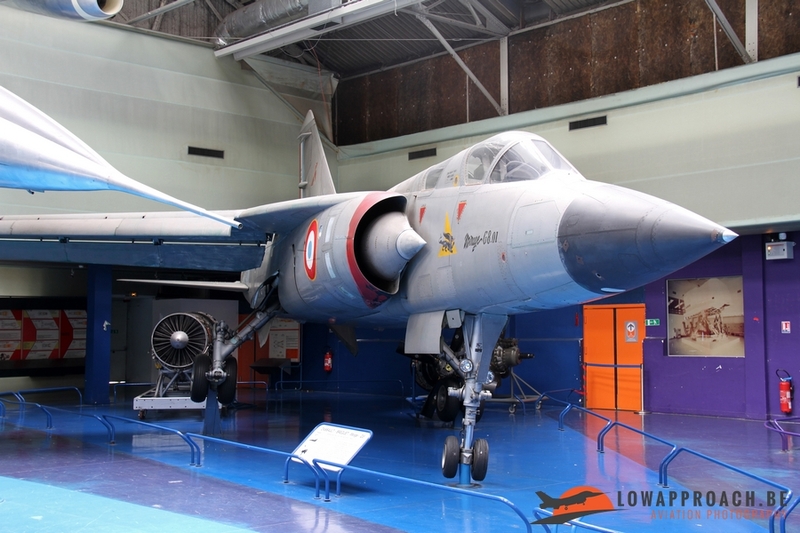 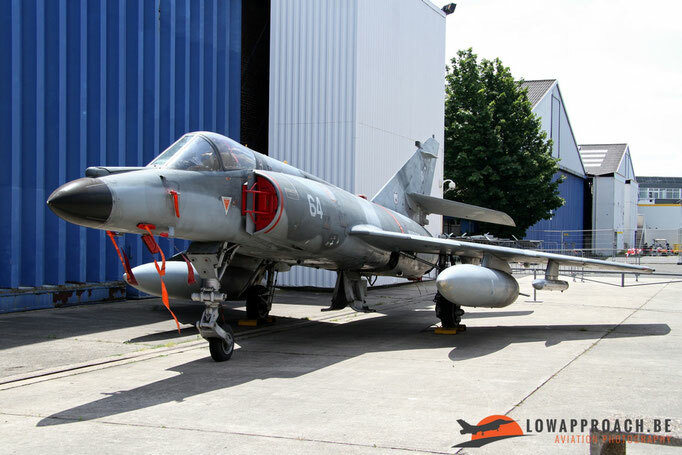 Finally we have two naval jets, a Dassault Etendard IVM and a fairly recent arrival in the museum, a Dassault Super Etendard. 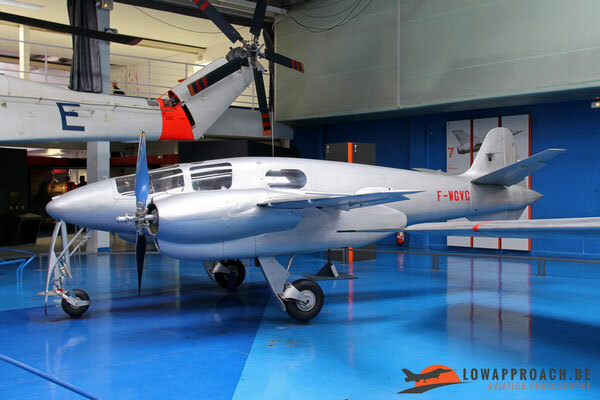 During the cold war period the French air force also equipped a number of its units with US-made aircraft, which are also present. 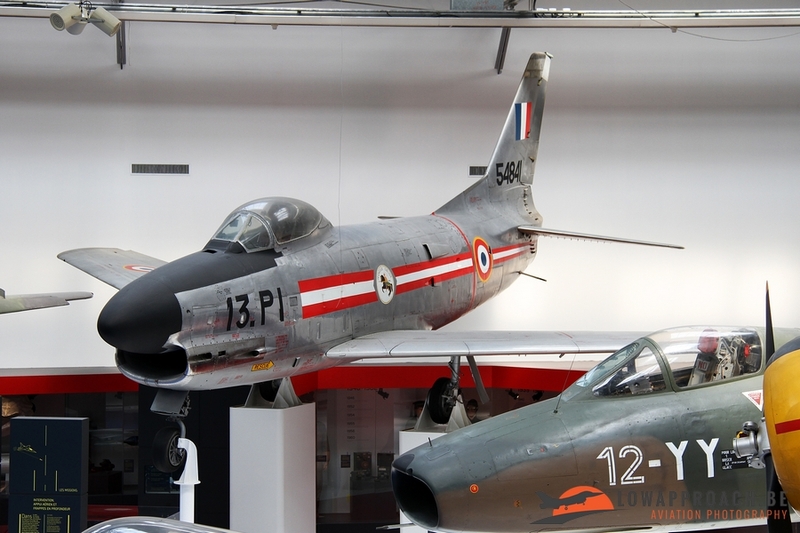 We see a Republic F84F Thunderstreak, a North American F86K Sabre and a North American F100D Super Sabre. 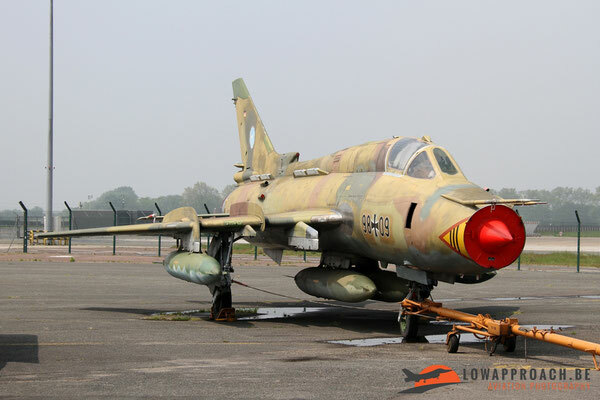 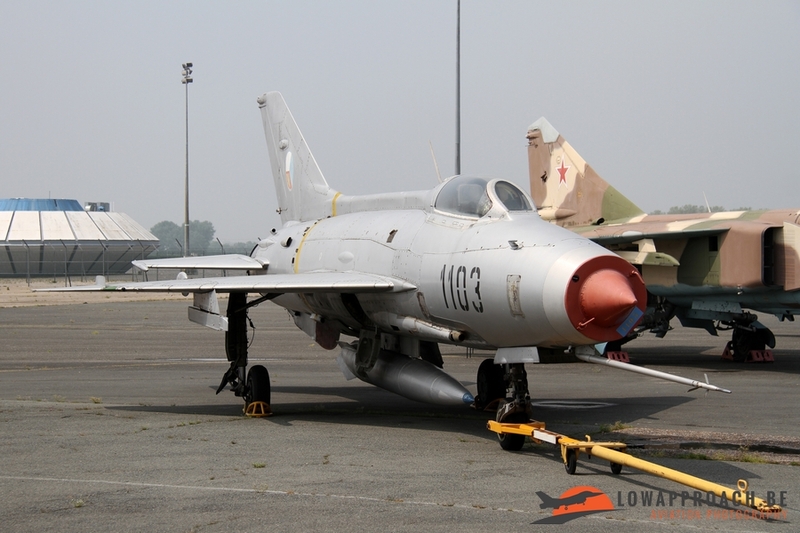 From the Eastern Block we see a Czechoslovakian Air Force Mikoyan-Gurevitch MiG21MF-13 Fishbed-C, which is a very early variant of this fighter. 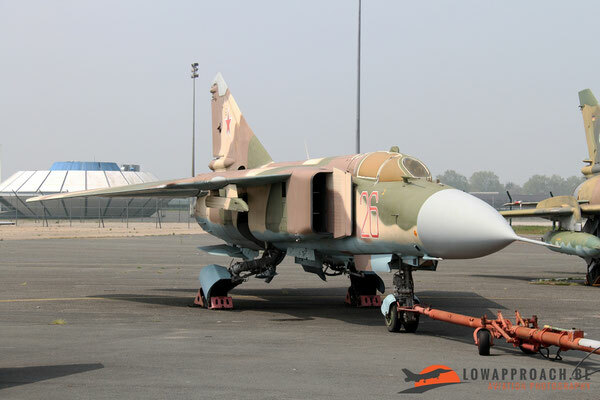 The line-up is completed with a Mikoyan-Gurevitch MiG23ML Flogger-G in Russian markings (although the aircraft is actually an East German example) and a Sukhoi Su22M-4 Fitter also from East Germany. 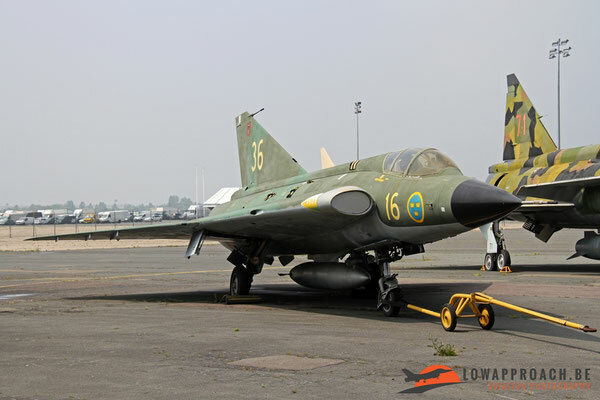 Last country represented here is neutral Sweden who donated a Saab J35A Draken and a Saab Sk37E Viggen to the museum after their withdrawal from operational service. 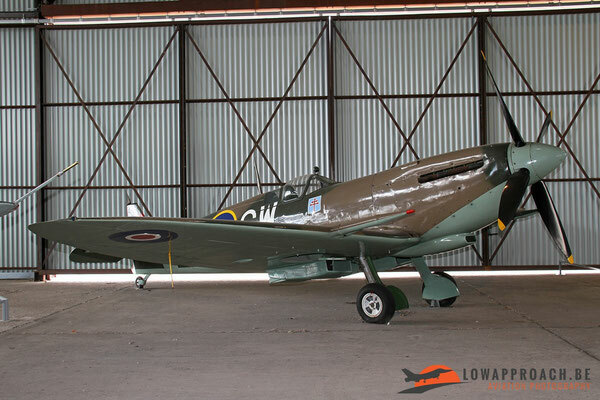 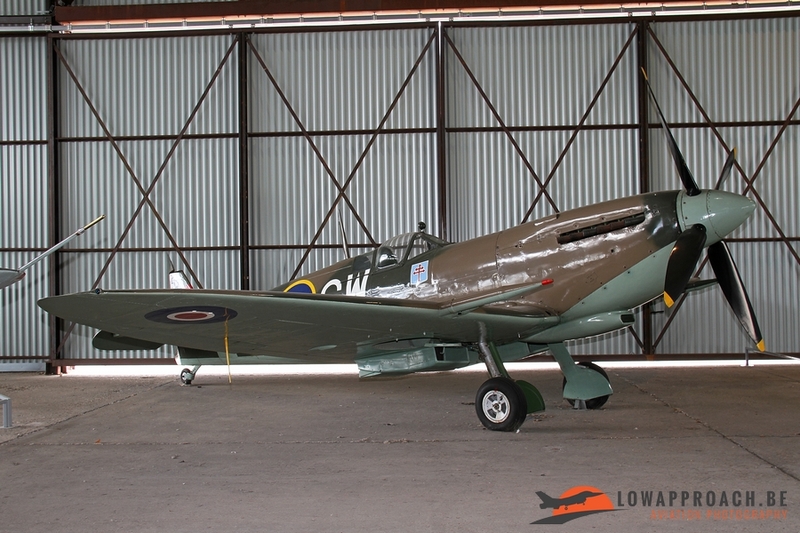 As already mentioned not all aircraft are preserved indoors. 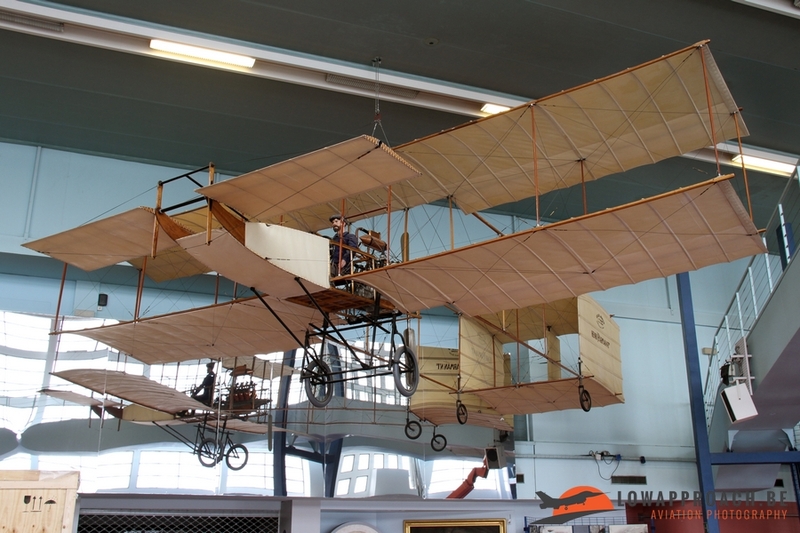 Some of the larger aircraft are outside on the platform. 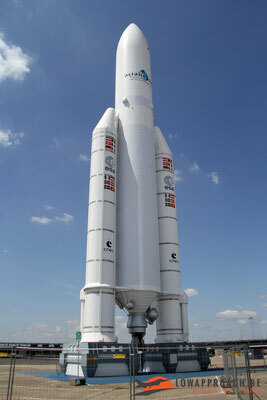 Now what is on this platform can vary quite rapidly. Very often aircraft are rotated with aircraft in store at the Dugny centre. 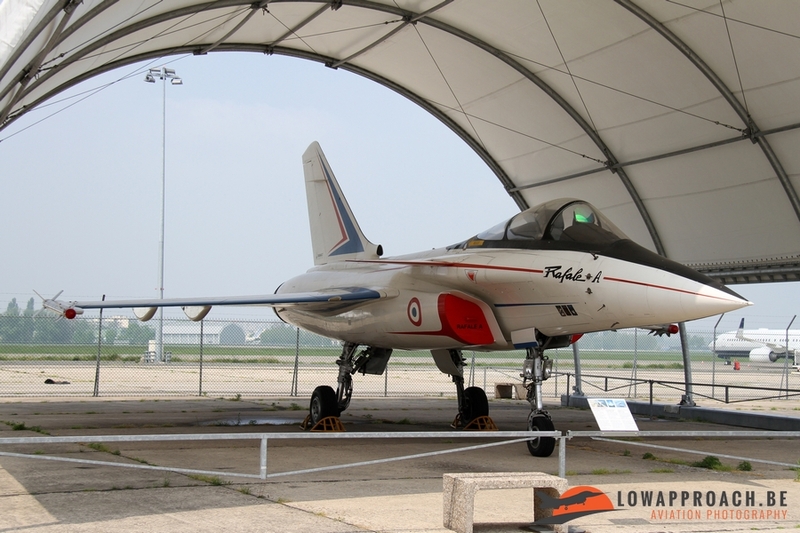 In the past they also emptied the platform completely to make space for the Le Bourget airshow. 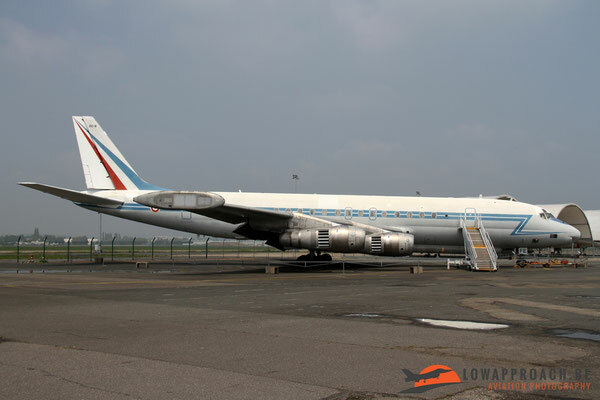 Only the very large aircraft are then kept on site. The first set of pictures covers a number of military support aircraft. During my last visit in 2016 the French Navy was very well represented with a Nord N262E Fregate, a Lockheed SP2H Neptune (that had been in storage for several years) and a Breguet Br1150 Atlantic. 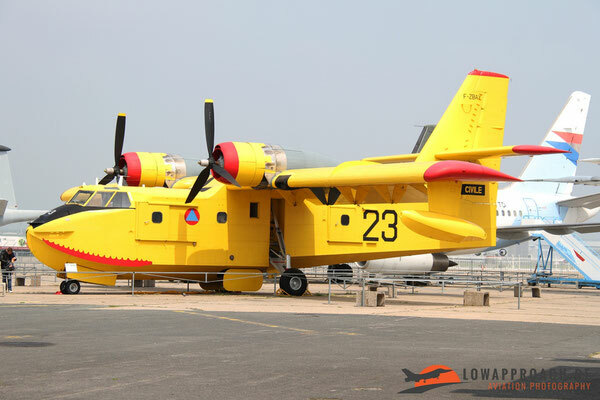 A rather unique aircraft, not many are on display in Europe, for Le Bourget is the Canadair CL215-1A10 Fire-bomber, that came from the Sécurité Civile when it was replaced by a more recent version. Finally we see a Transall C160R, which arrived a couple of years ago. 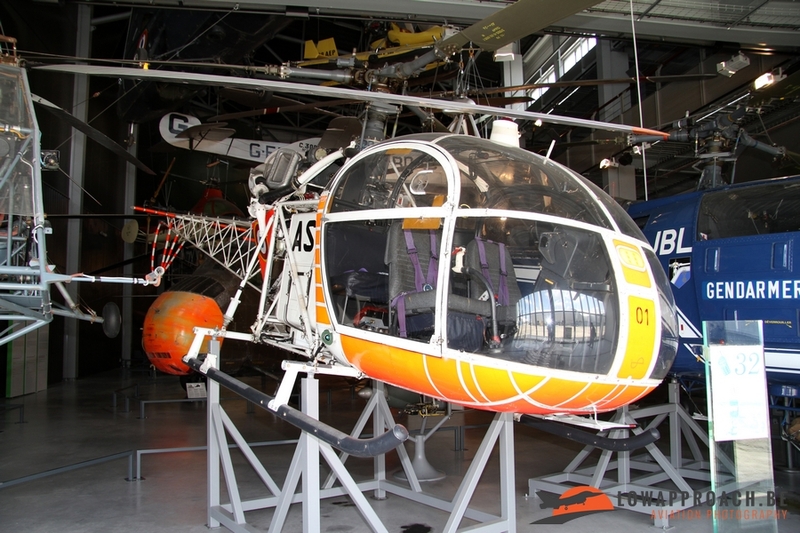 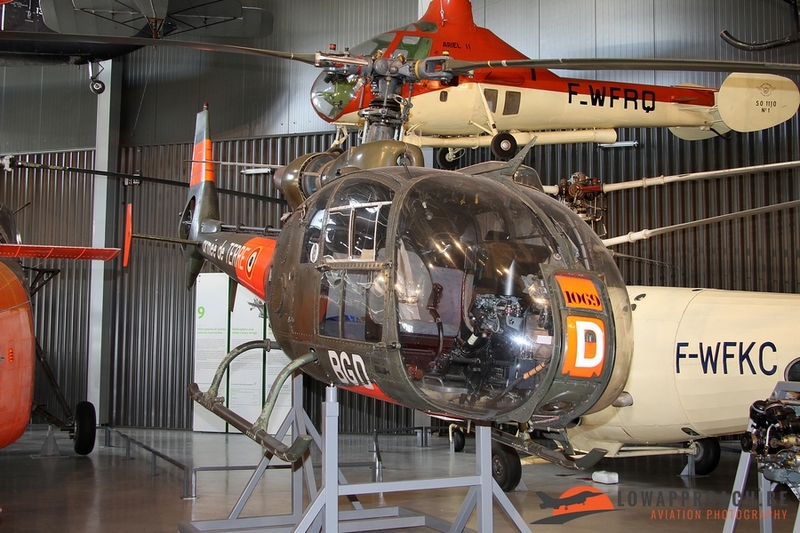 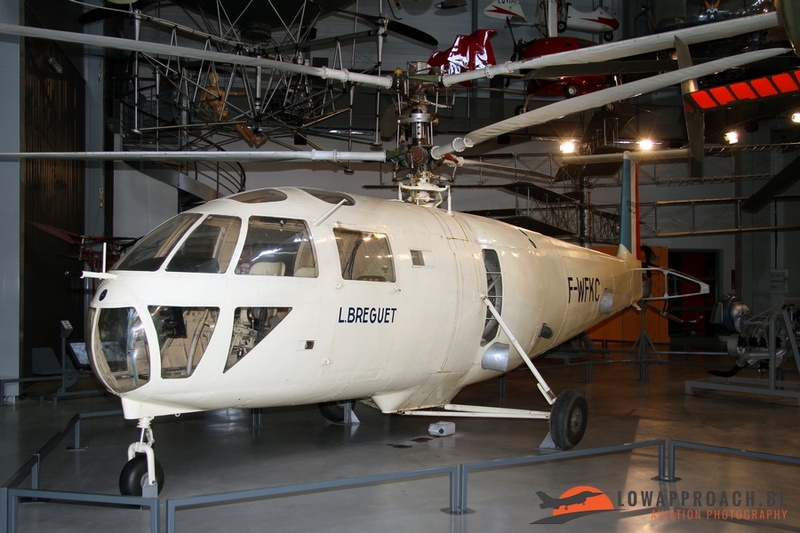 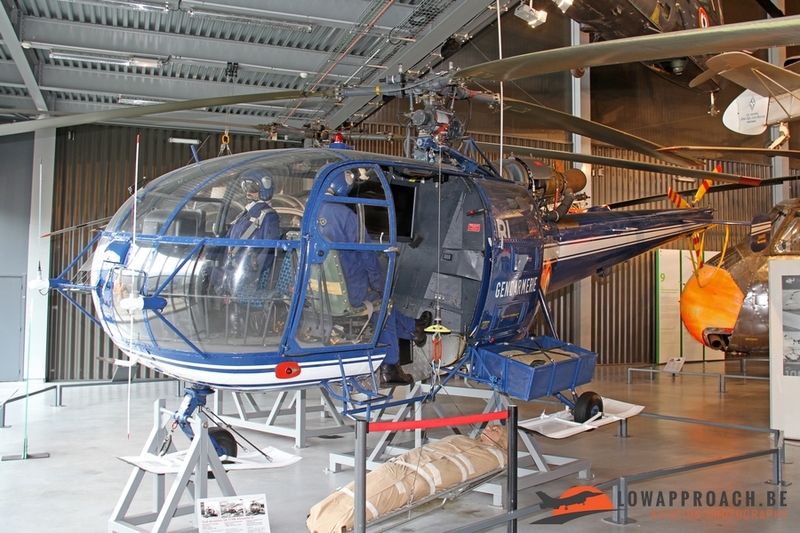 The Le Bourget museum is also known for its large collection of autogiros and helicopters. One complete building is dedicated to this type of flying. 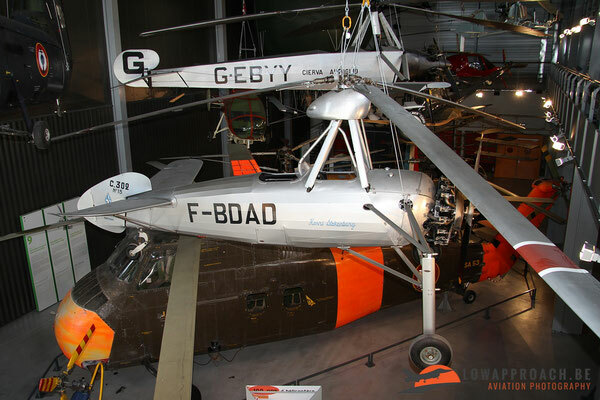 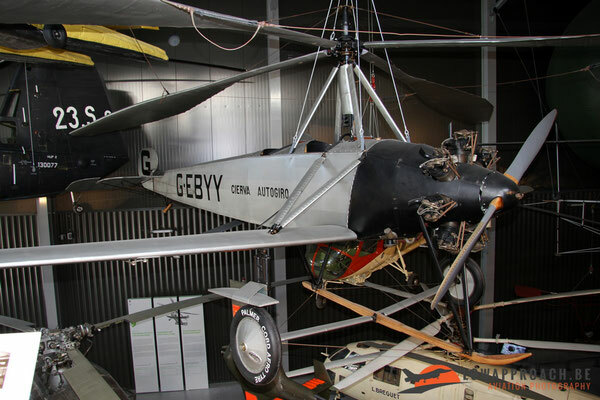 On the Autogiro side we see here a Liore-Olivier LéO C.302 and Cierva C8L-II, which dates from the beginning of the 20th century. 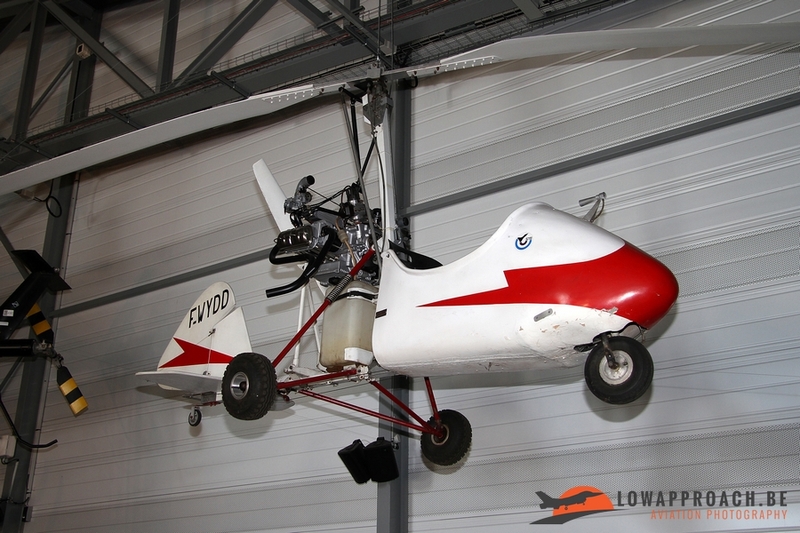 More modern examples are a Gary Bensen 01, the Celier Aviation Xenon and the Kloti RK02. 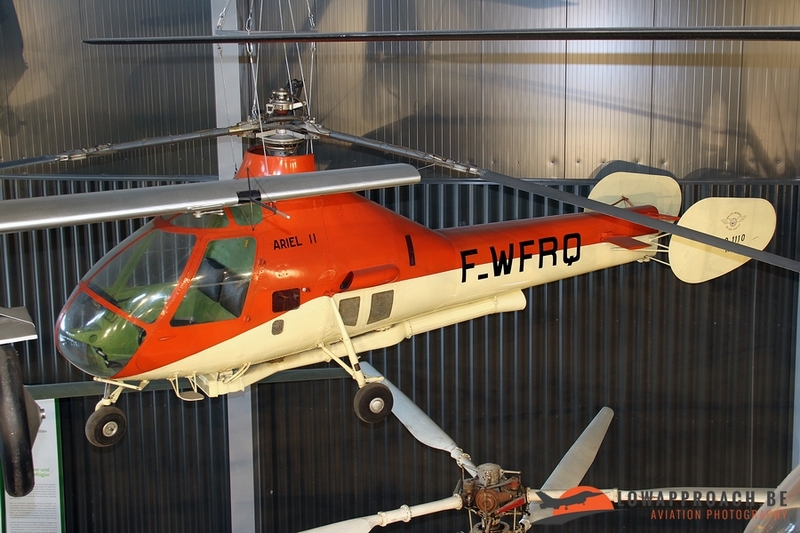 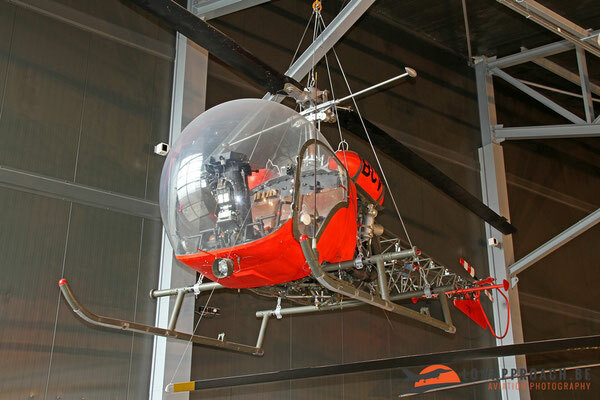 France has always been very well known for its helicopters industry and thus also a number of these prototypes have been preserved. 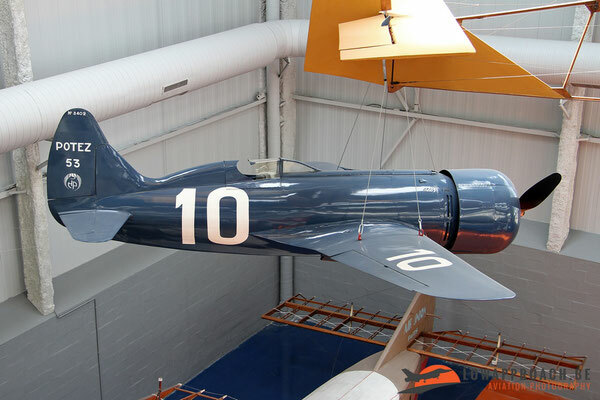 The SNCASO SO1110 Ariel II, was a development of the Ariel I, and first flew in 1949. 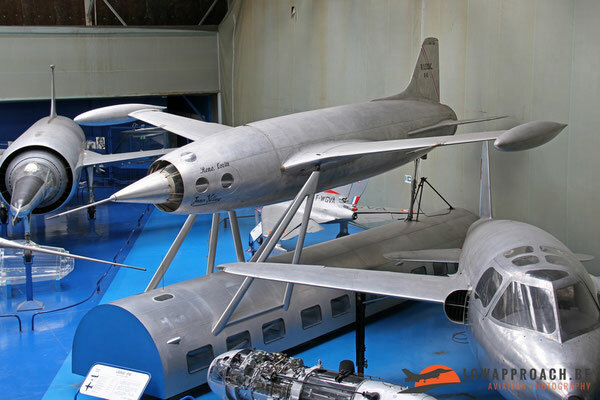 It never went into series production, but the knowledge gained was used in the development of the Djinn, which we will see later. Another unique prototype is the Breguet G.III, which first flew in 1951. Unfortunately testing was halted when they ran out of money. A more familiar type is the Sud Aviation SE3130 Alouette II. 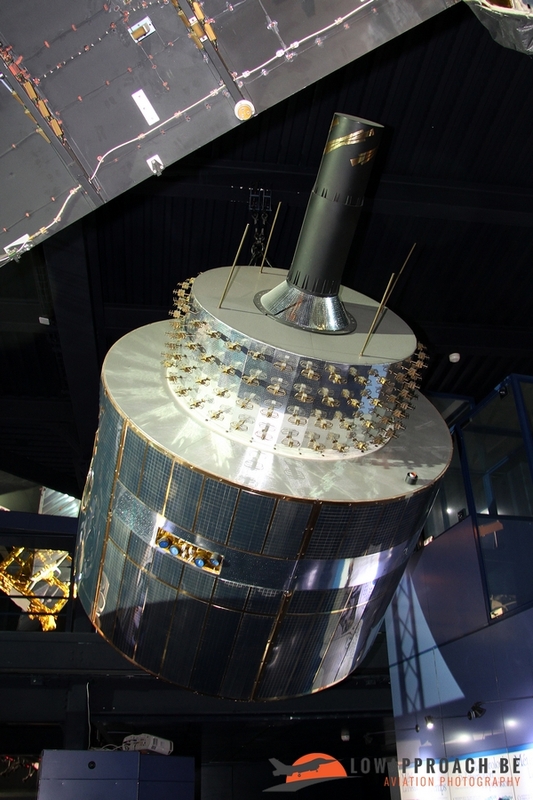 The example on display is a very early version, serial ‘01’, and after this many hundreds were build of which many are still flying at this moment. The largest helicopter at Le Bourget is the Sud Aviation SA3210 Super Frelon, again a prototype. It was built as a heavy-lift military helicopter and even the Chinese military acquired a number in the mid seventies, after which they developed and build a local version, designated the Z-8. 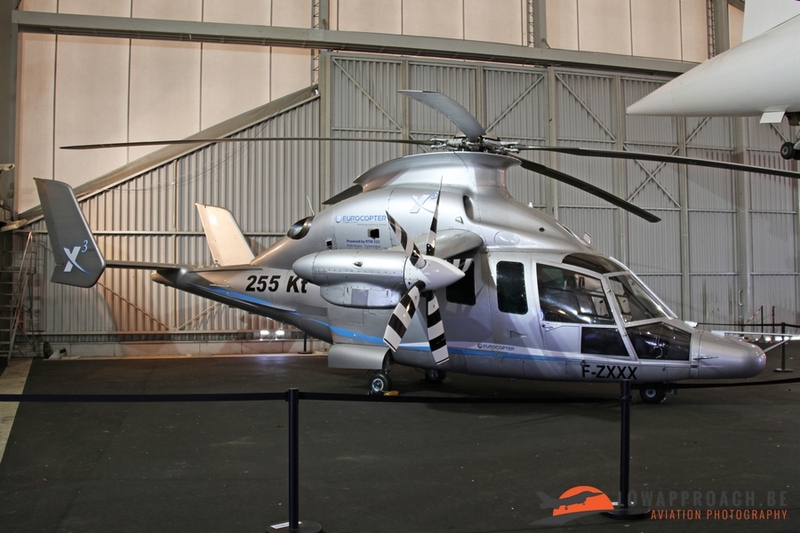 Final helicopter in this prototype series is the Eurocopter X3. 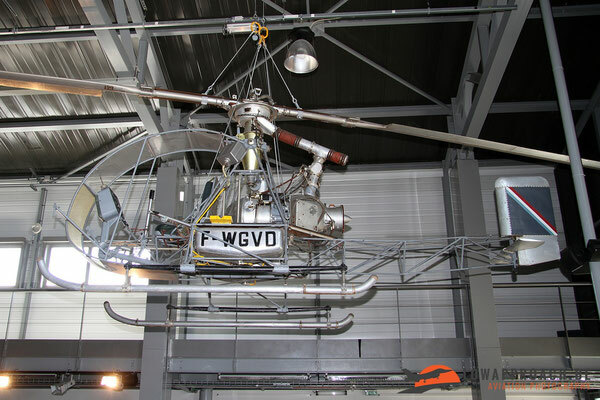 This experimental high-speed helicopter developed from the Eurocopter EC155 first flew in 2010. In 2014 it arrived in the museum, but in early 2017 it was moved to the Musée de l’Aviation at Saint-Victoret, near Marseille. After the development aircraft we can have a look at the various operational helicopters at Le Bourget. From French origin we start with the SNCASO SO.1220 Djinn, continue with a Sud Aviation SA319B Alouette III from the French Gendarmerie and a French Army Aérospatiale SA341F Gazelle. 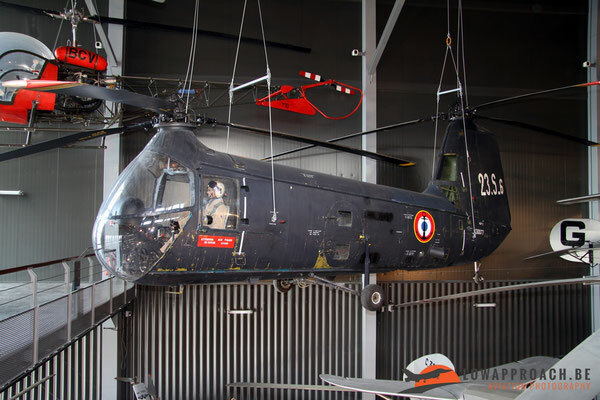 France also acquired helicopters in the United States, so here we see a Hiller UH12B, a Bell 47G-1 and a Sikorsky H34A Choctaw the last two being former French Army examples. The Sikorsky is a license build by Sud Aviation in France. 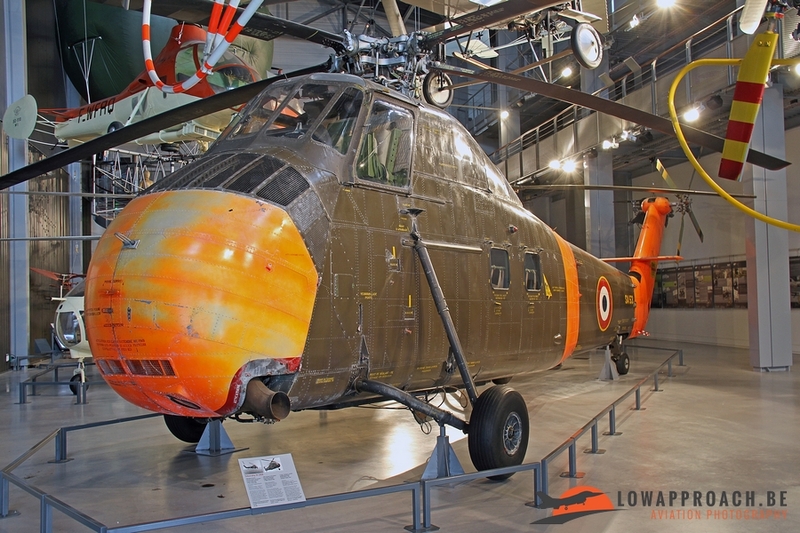 Final helicopter is a (for Europe) rare Piasecki HUP.2 Retriever, which saw service in the French Navy and was used on its aircraft carriers. 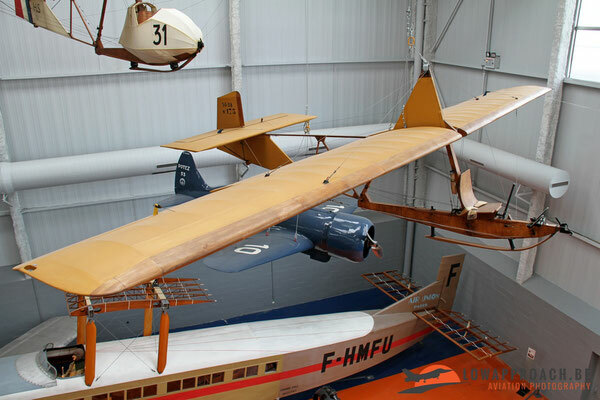 The largest aircraft on display at Le Bourget are a number of airliners. 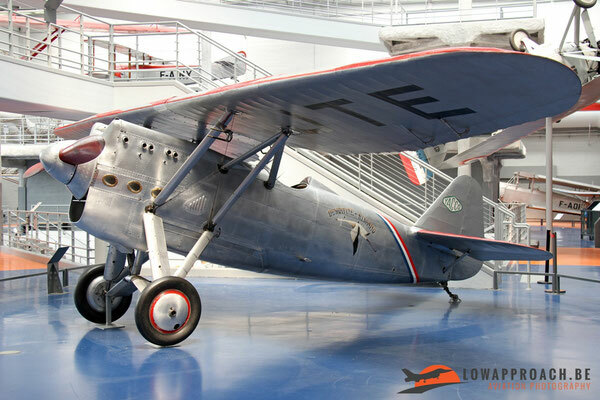 The oldest ‘airliner’ is an original Junkers F.13 from the early 1920s. This was the first all metal transport aircraft and could carry 4 passengers. More modern is a Douglas DC8-53 which is displayed on the platform. 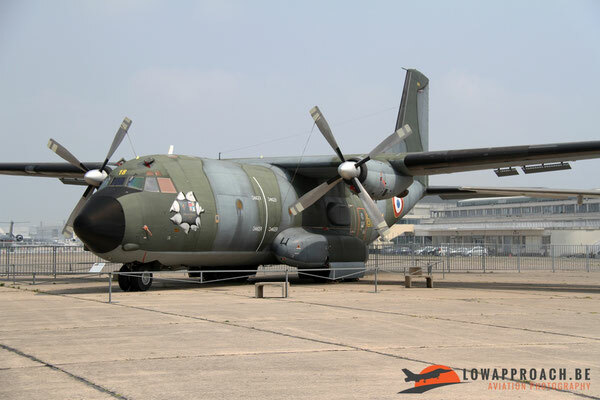 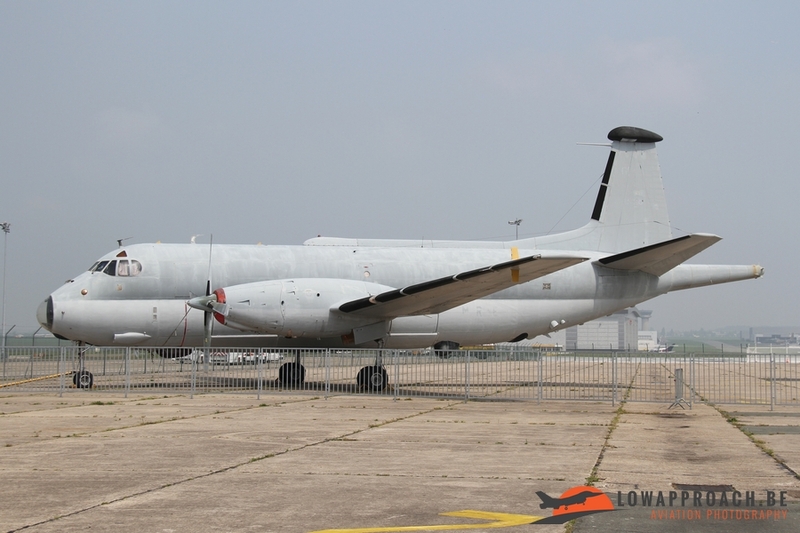 The version at Le Bourget is a former French Air Force example that was used in the electronic warfare role. The largest aircraft in the museum (at the time of my visit) is a former Air France Boeing 747. 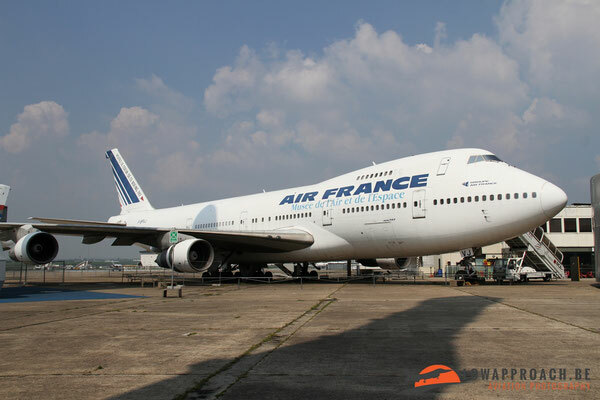 Since a few weeks the honor of the ‘largest’ goes to an Airbus A380, the first prototype, that arrived on February 14th 2017. 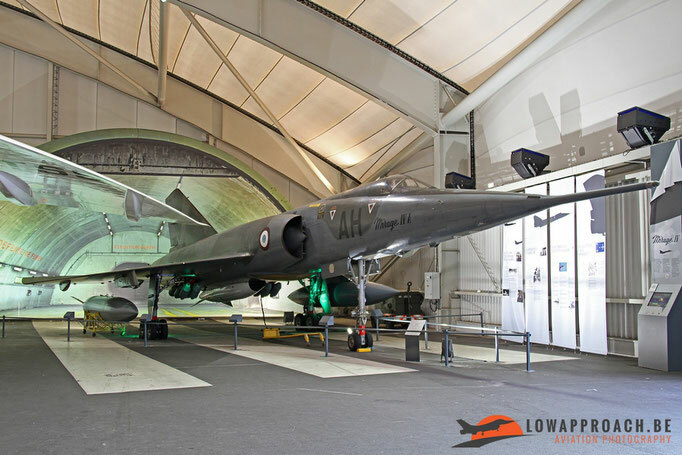 Two other airliners are preserved in the same tent were the Mirage IV can be found. 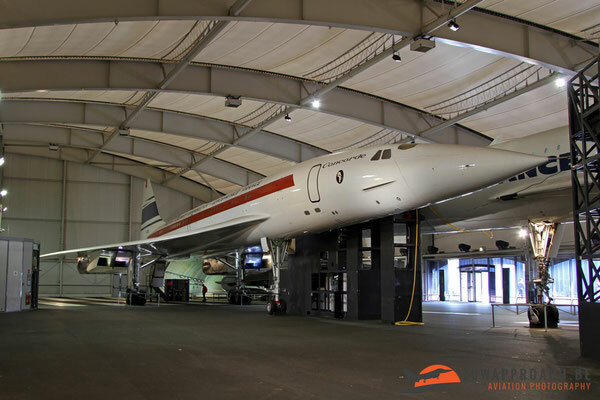 Side-by-side two Aérospatiale/British Aircraft Corporation Concordes can be found. 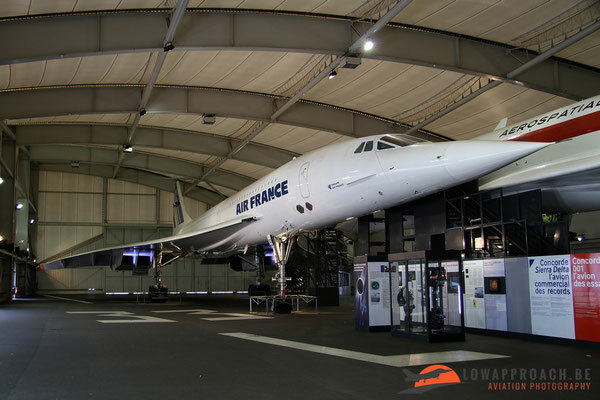 The first one is a Concorde 100, one of the French prototypes, whereas the second one is a Concorde 101, a production example formerly used by Air France. going to discuss in detail what is on display, but this building gives a nice collection of French missiles and satellites from France, Russia, the United States and even one build for Saudi Arabia. 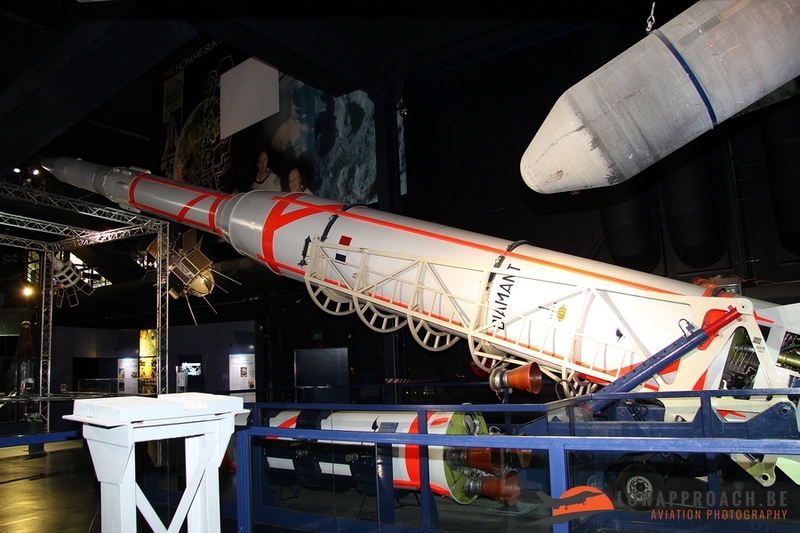 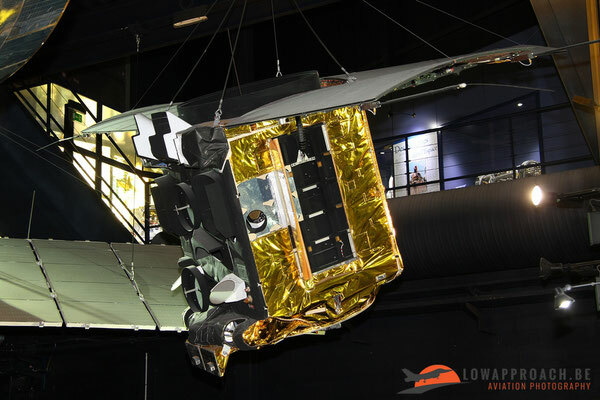 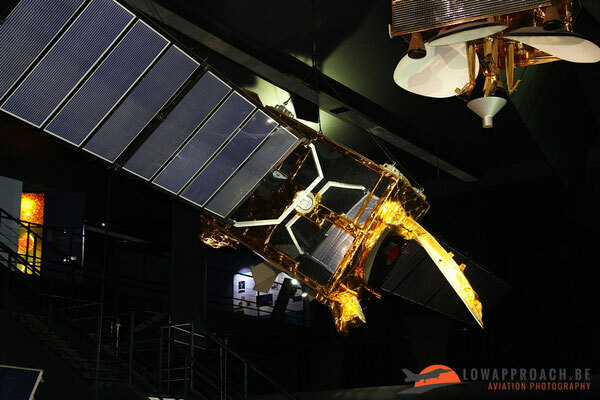 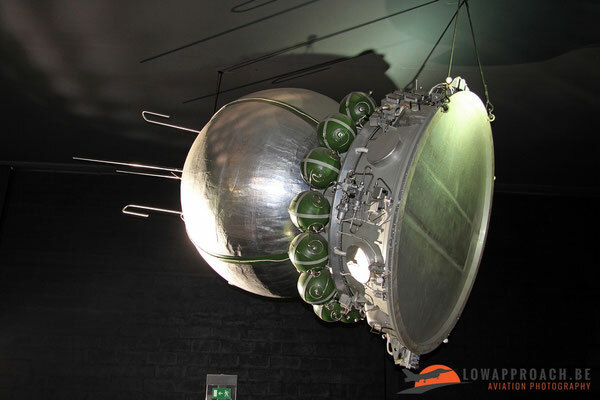 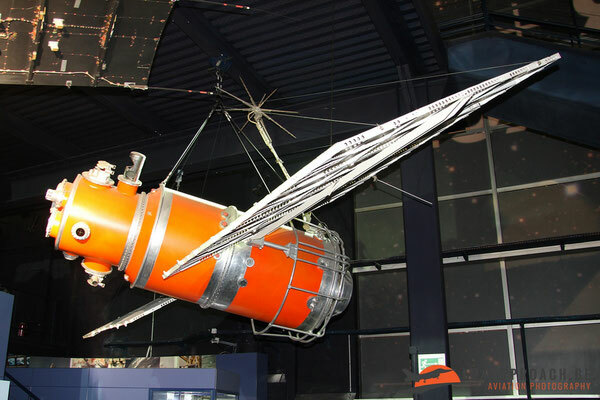 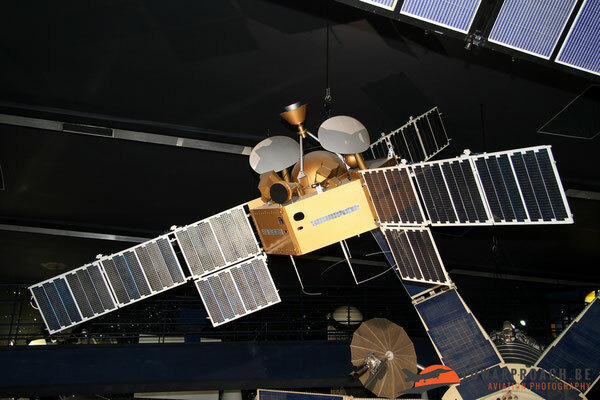 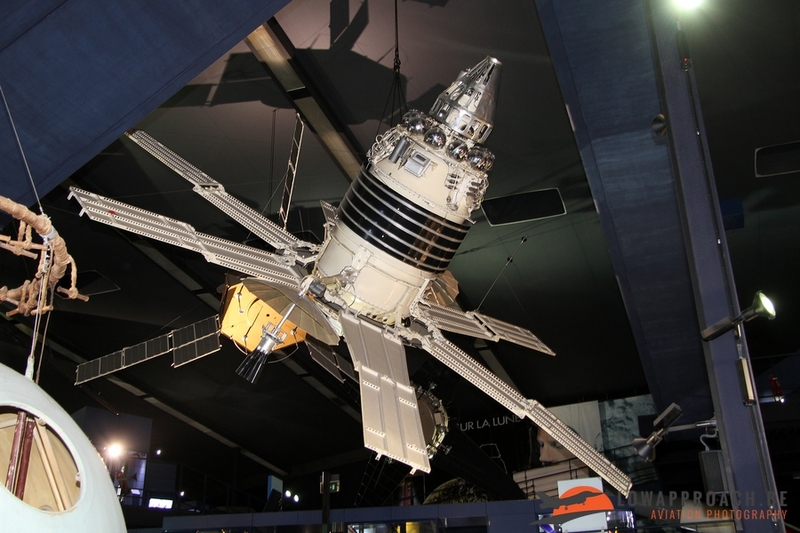 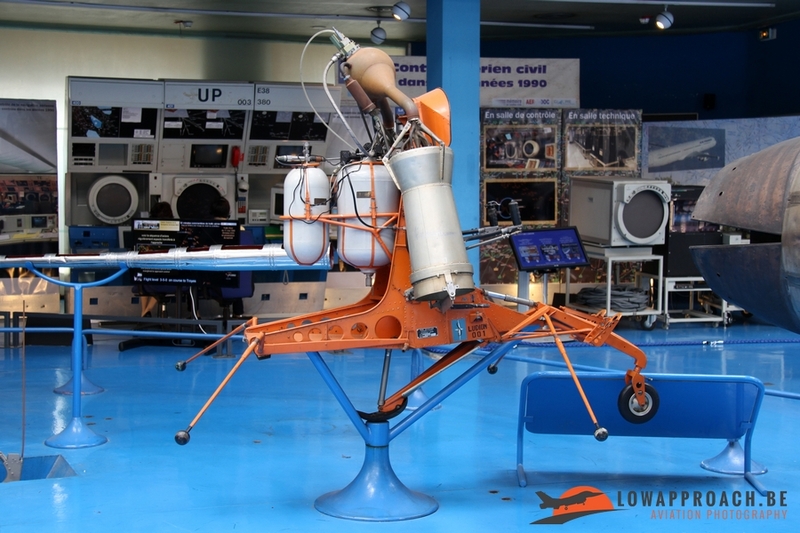 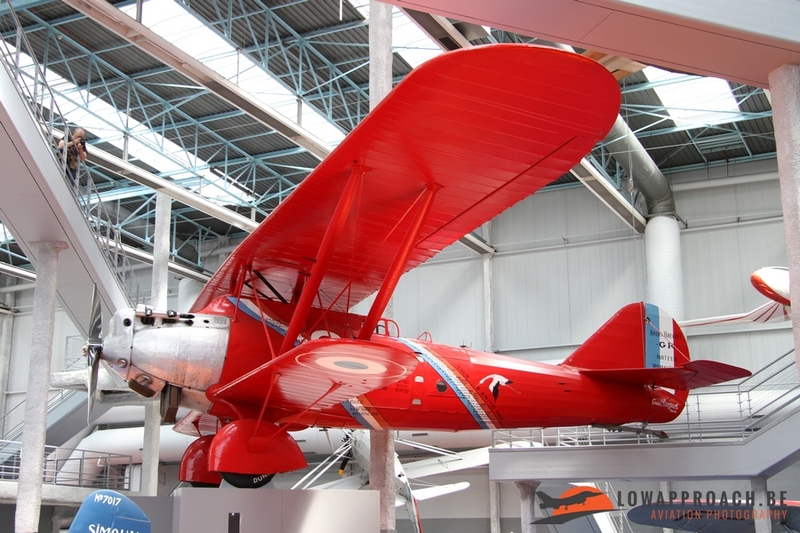 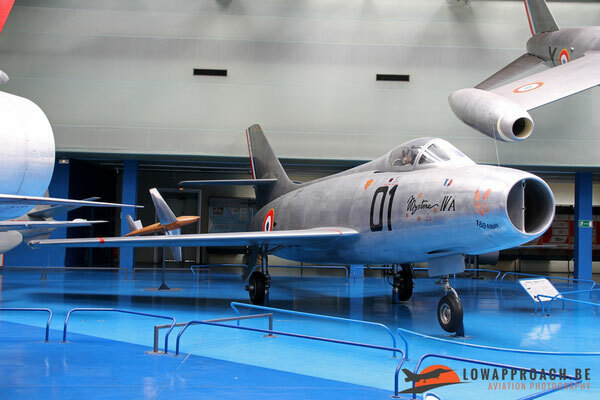 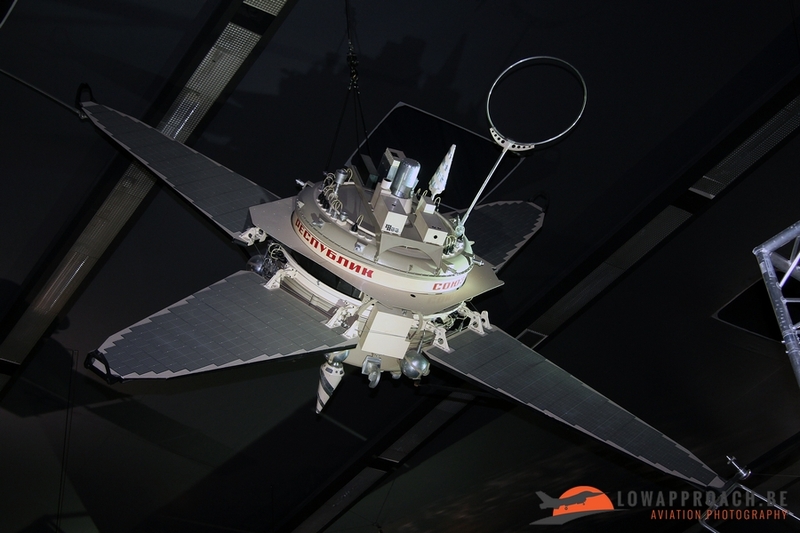 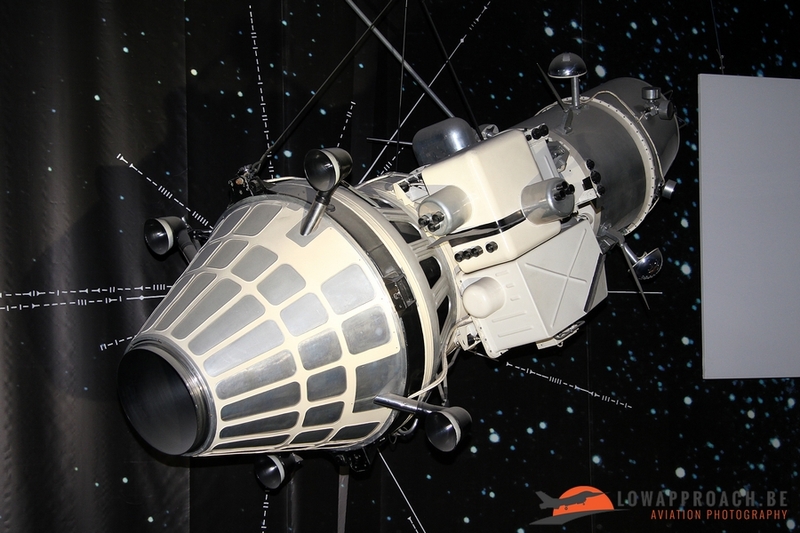 As you can see the Musée de l’Aviation et de l’Espace at Le Bourget has a very large collection and when you decide to pay them a visit, make sure that you reserve plenty of time. 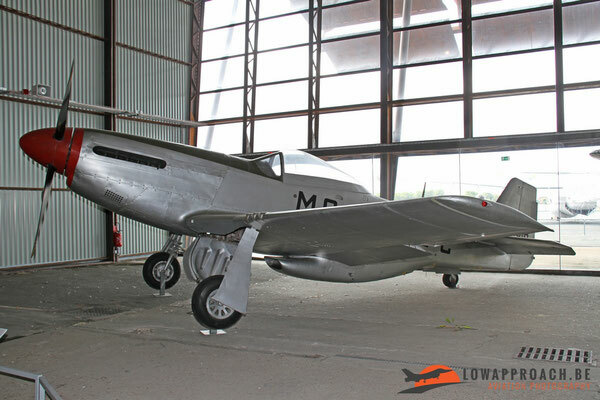 The museum is located on the airfield of Le Bourget in one of the early buildings and can easily be reached by car. Entry is free of charge, but if you go by car you have to pay for parking. 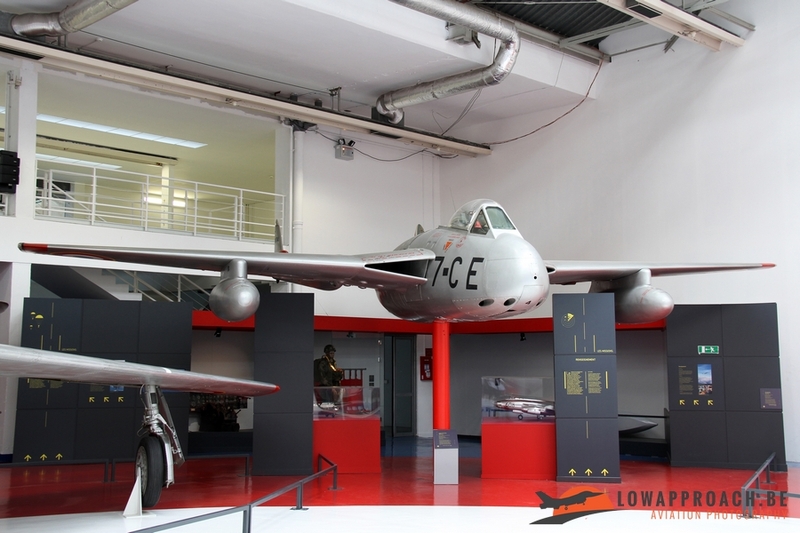 Since a couple of years there is also nice restaurant where you can have something to eat or drink and they have a shop as well with a large collection in books and other aviation souvenirs. 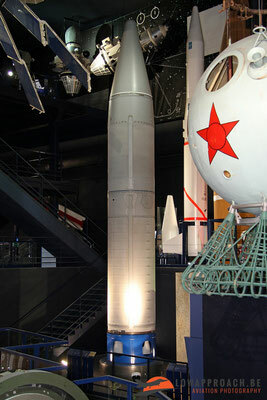 Photography is not a problem and the use of flash is not a problem, only the use of a tripod is officially not allowed.